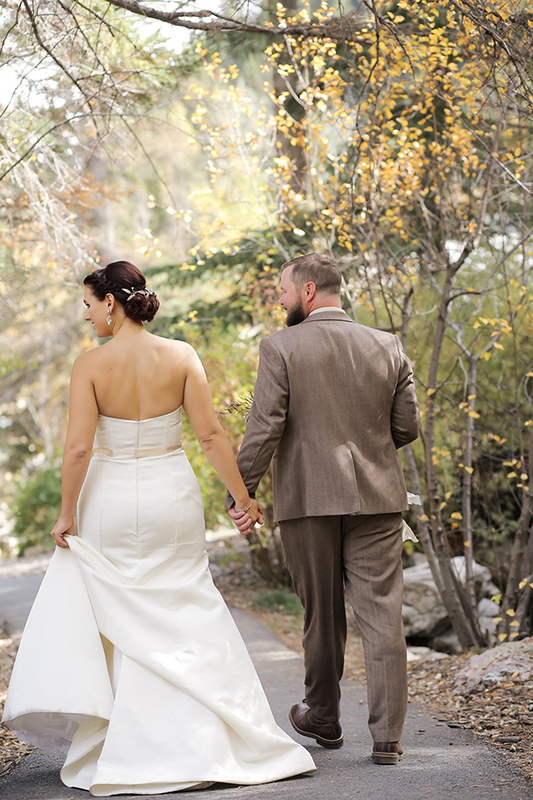 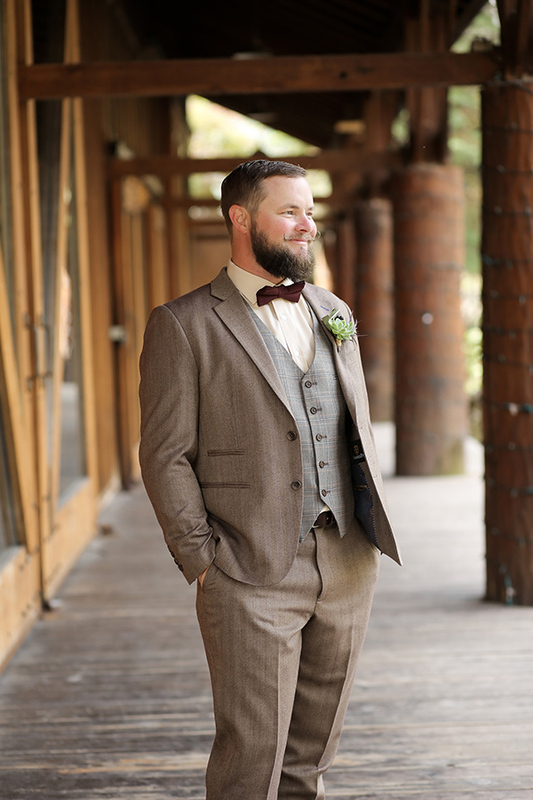 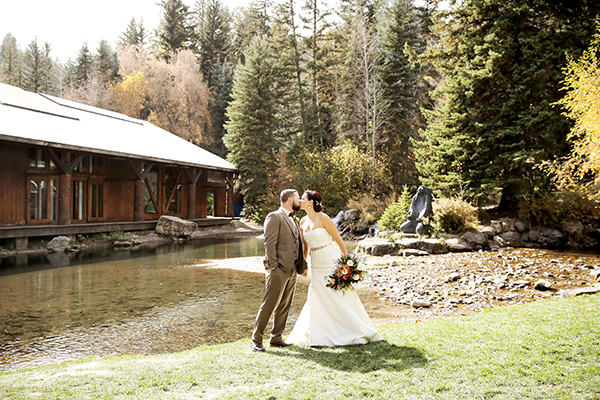 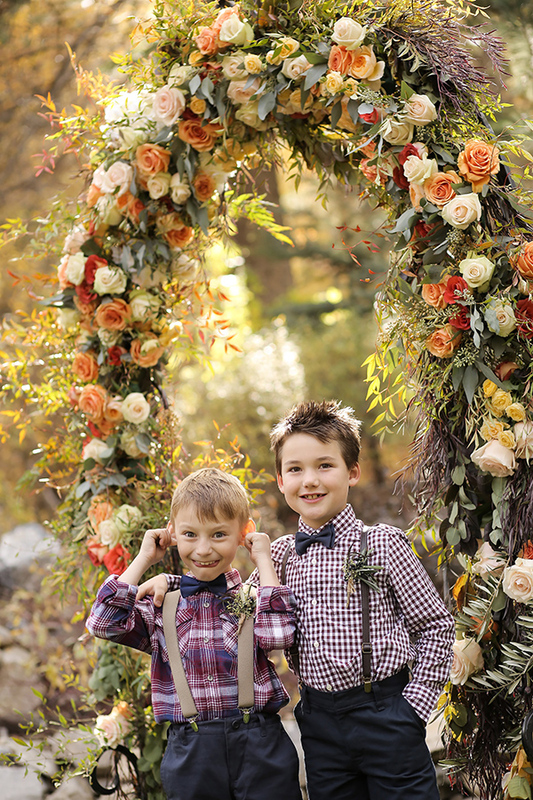 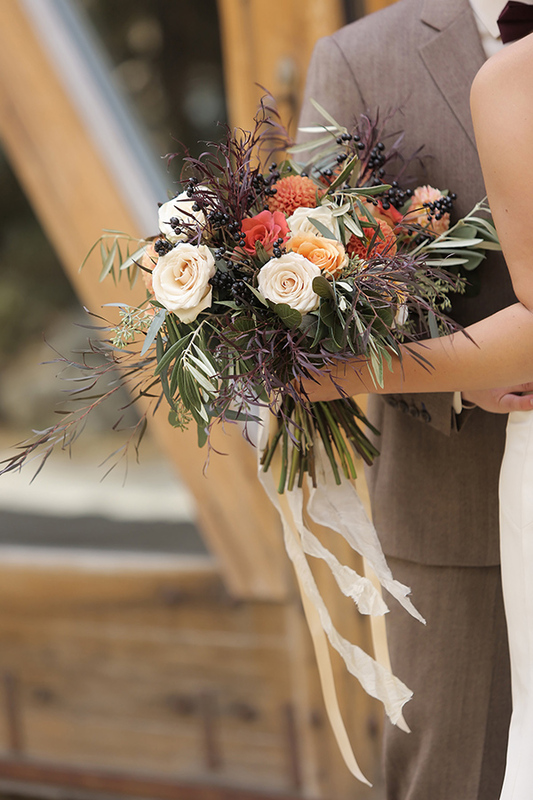 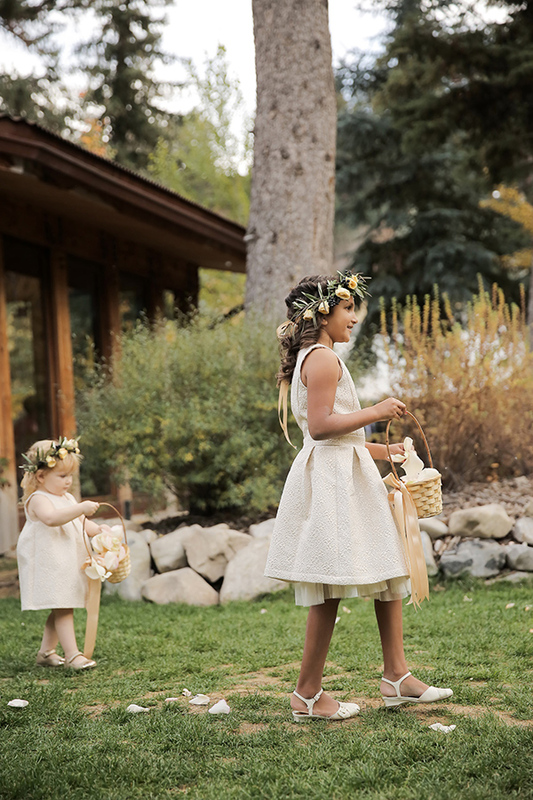 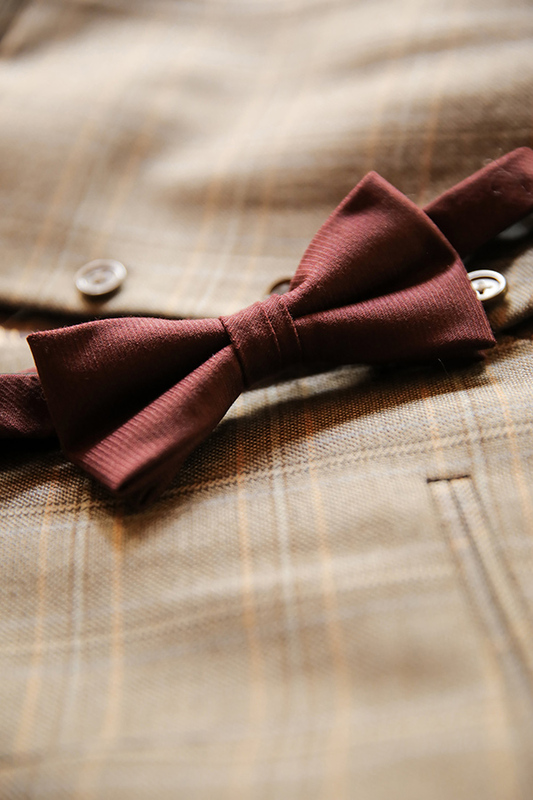 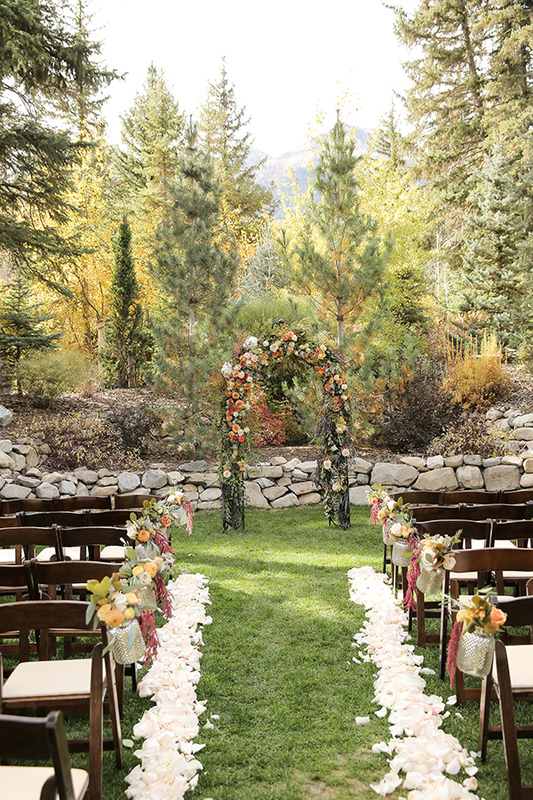 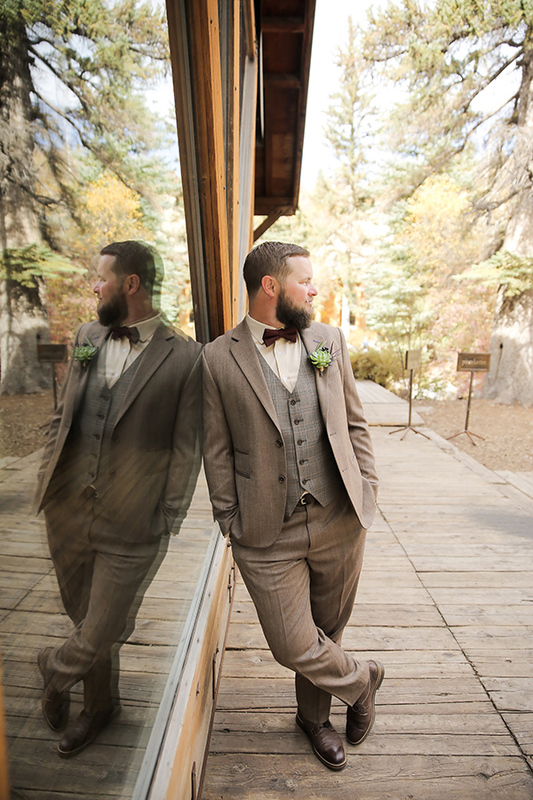 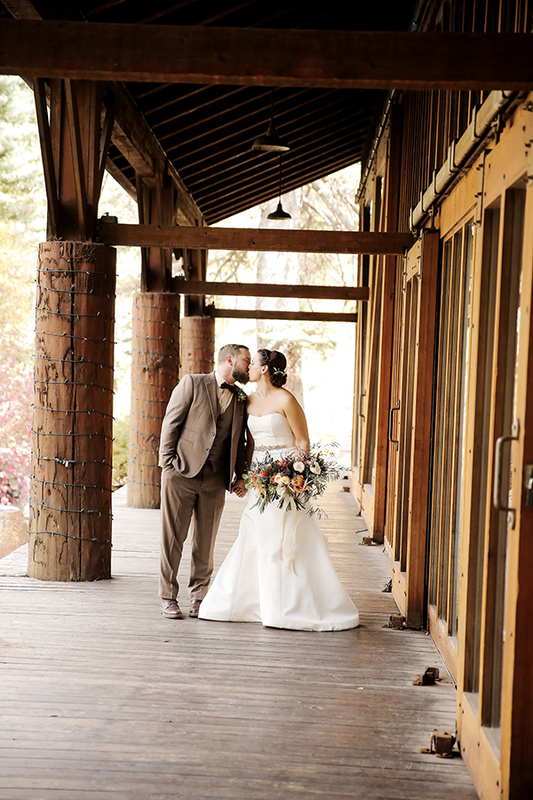 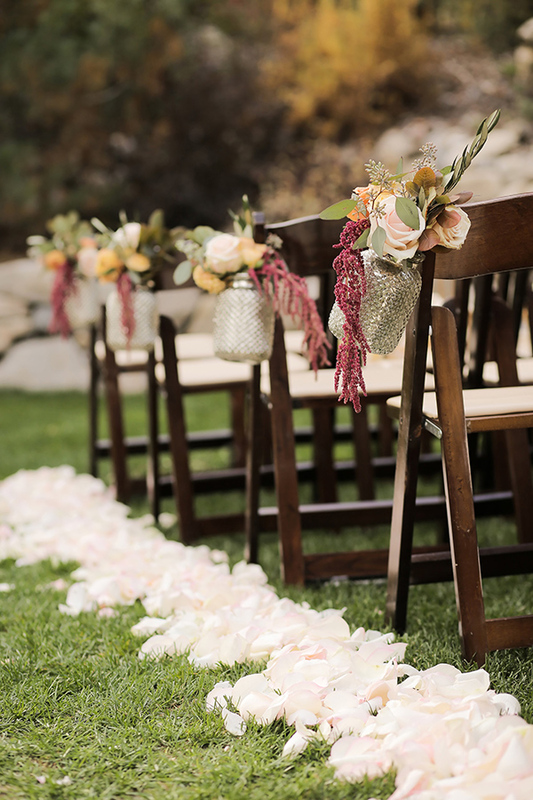 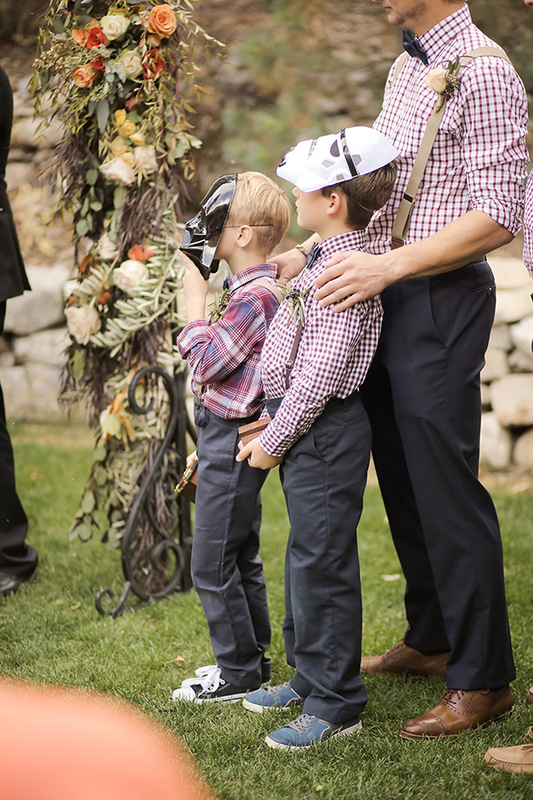 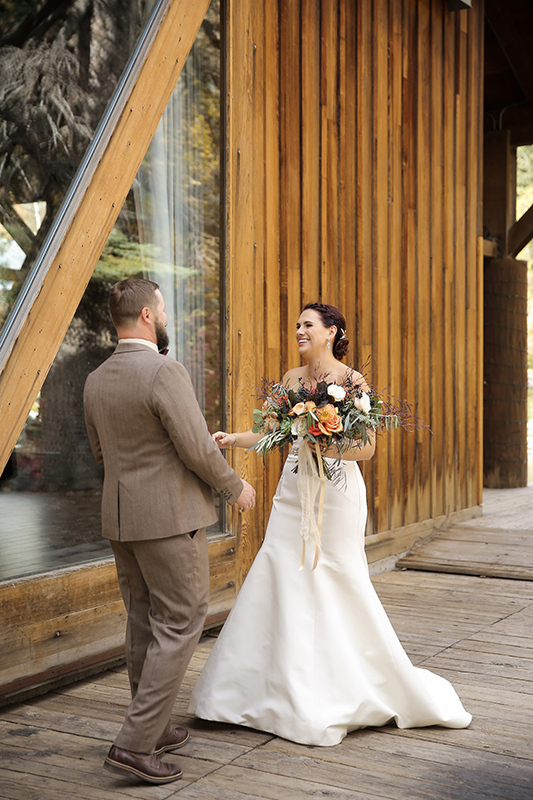 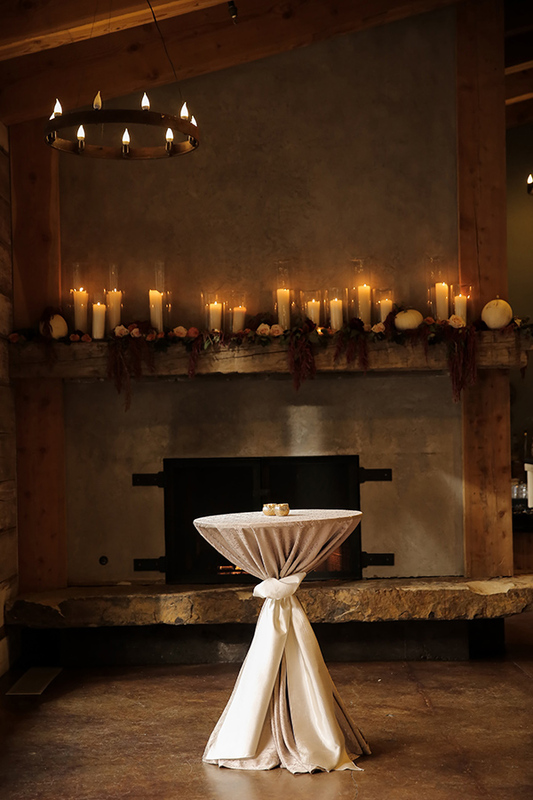 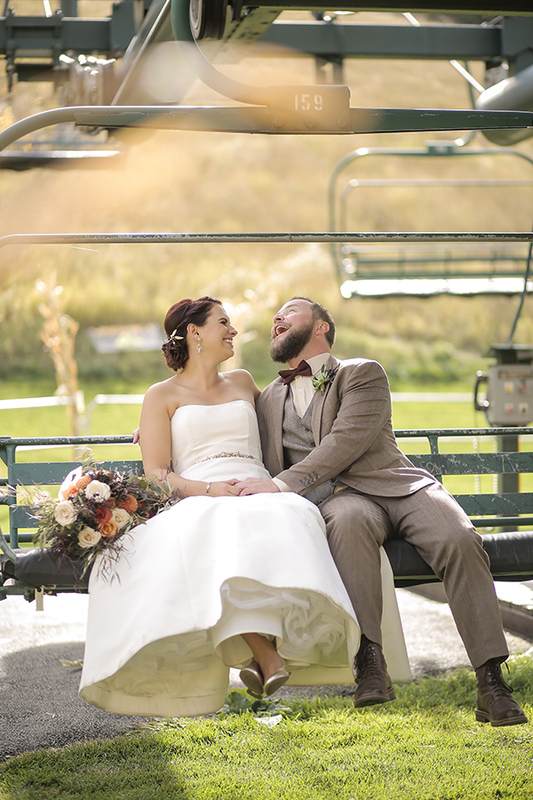 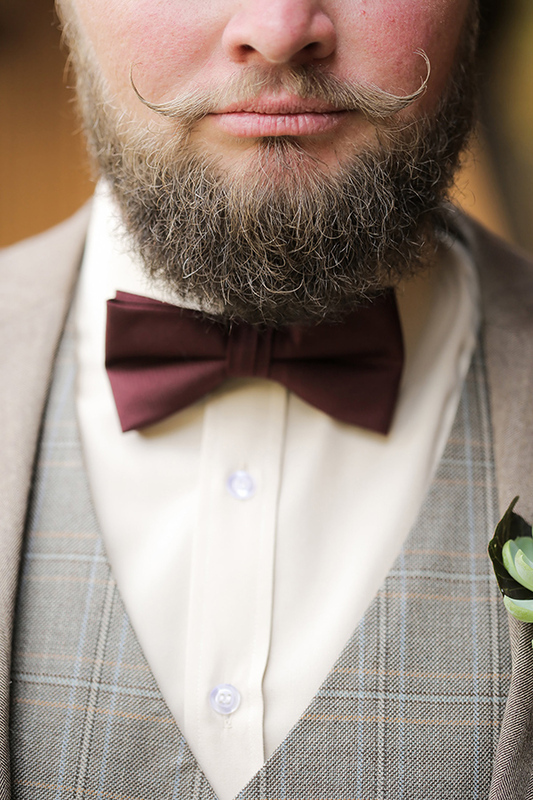 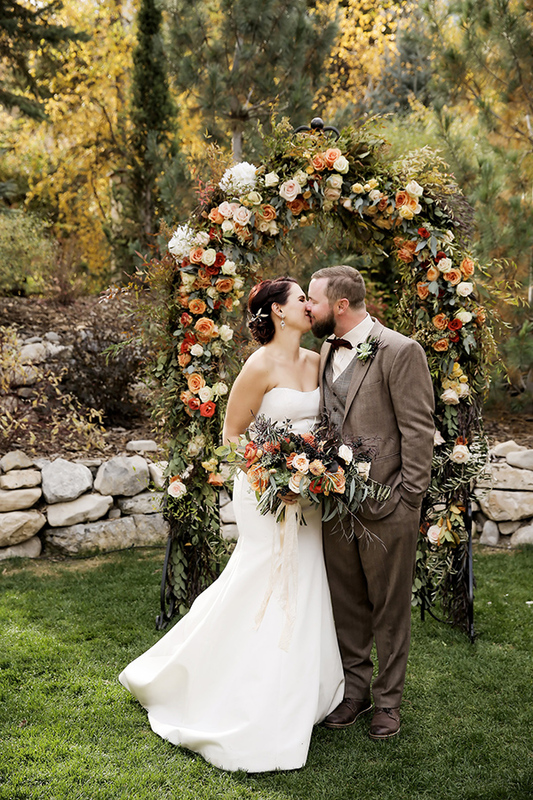 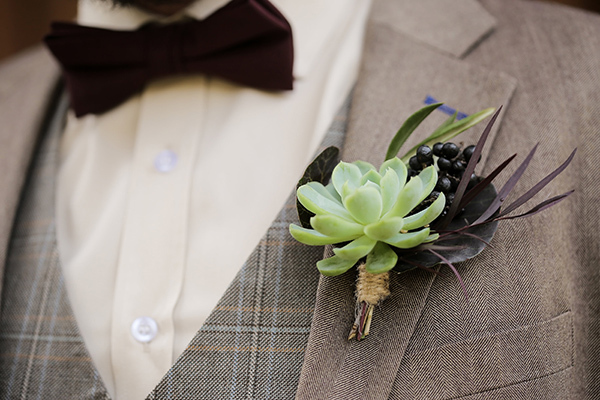 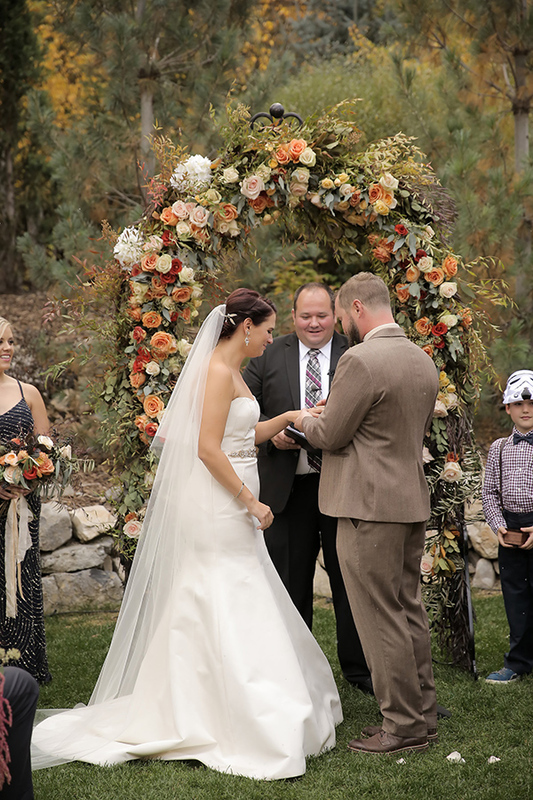 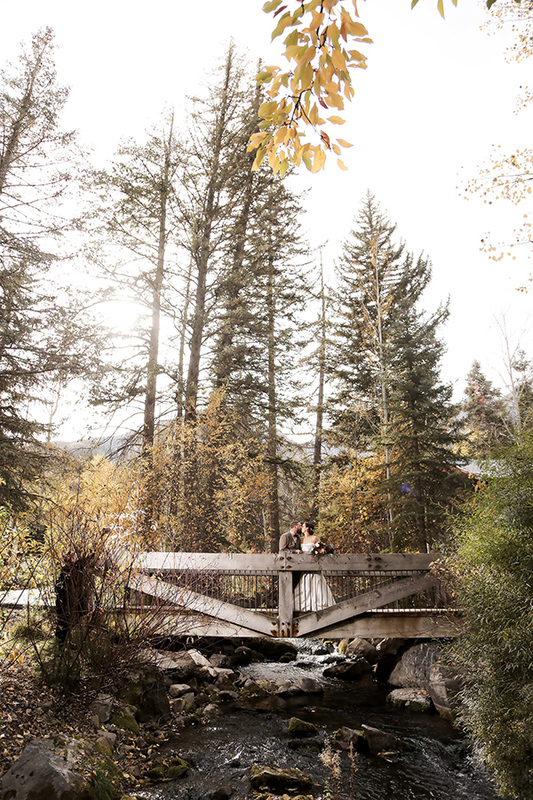 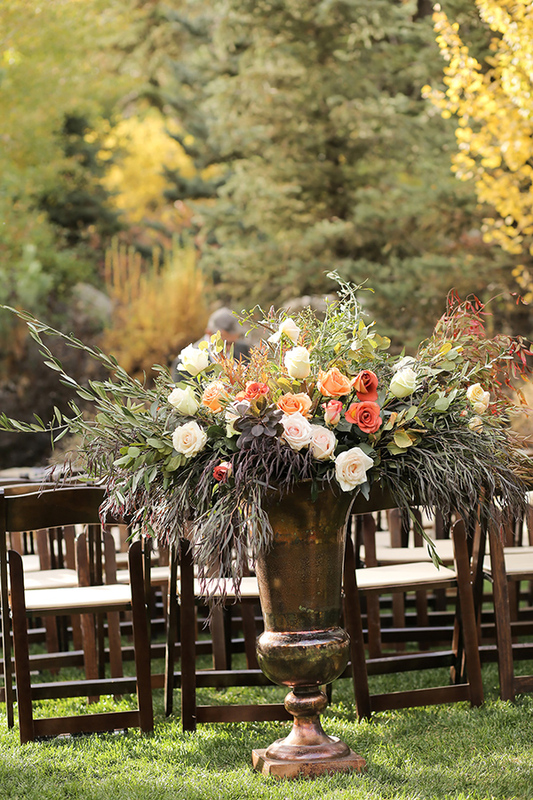 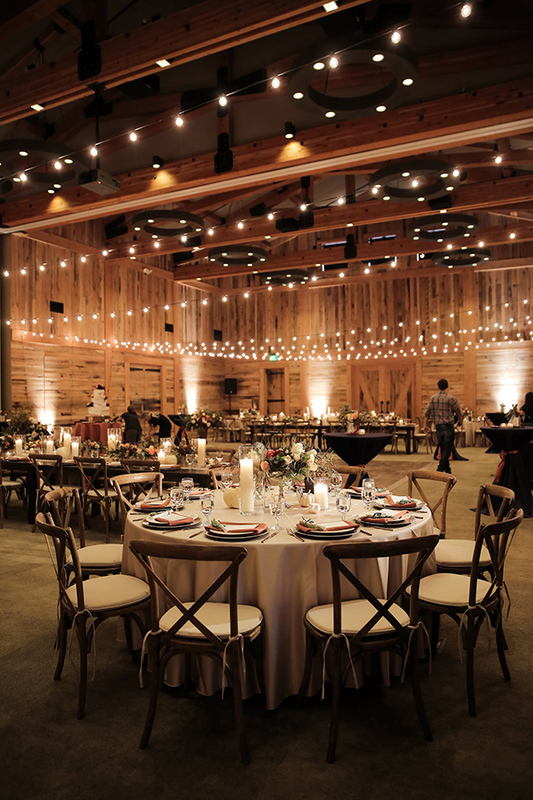 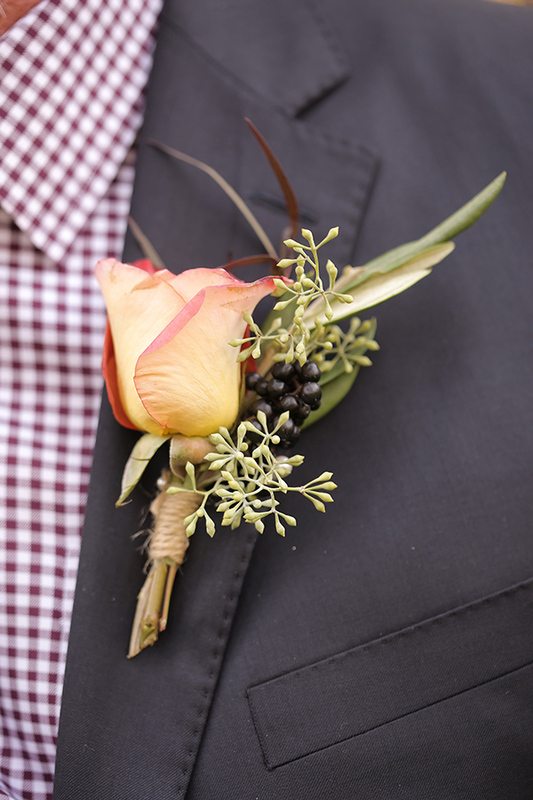 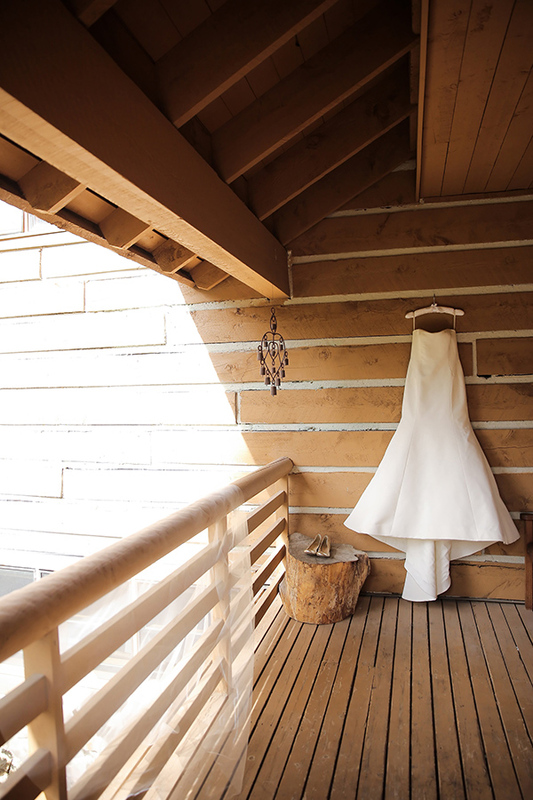 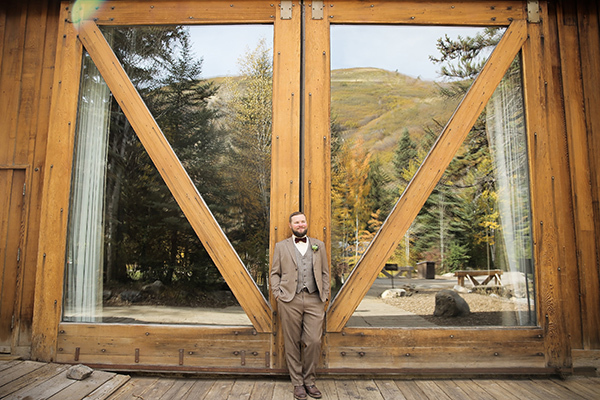 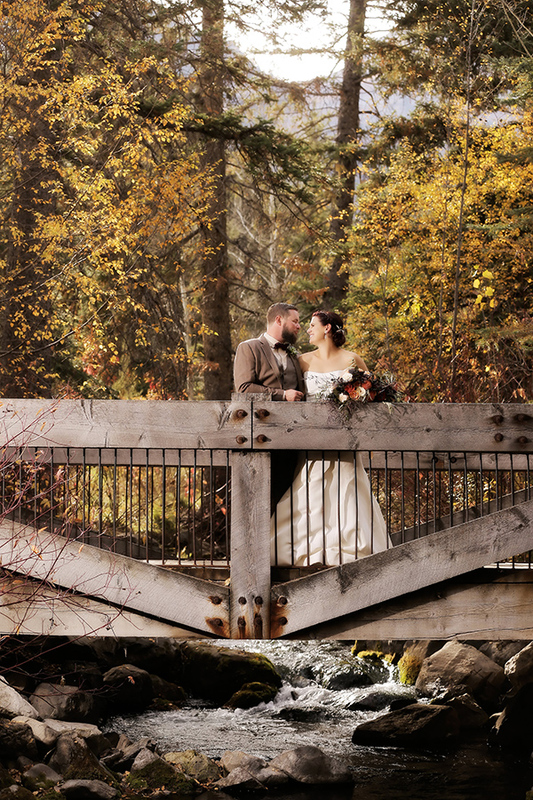 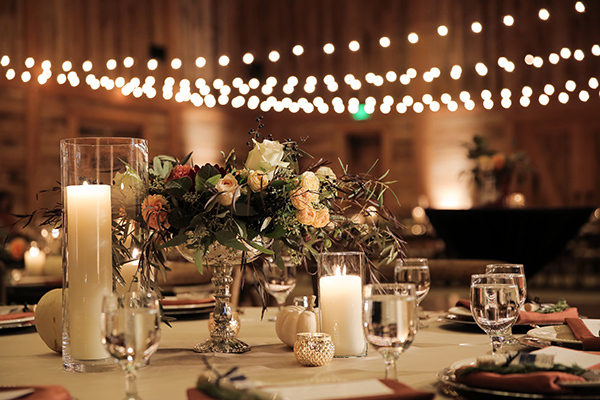 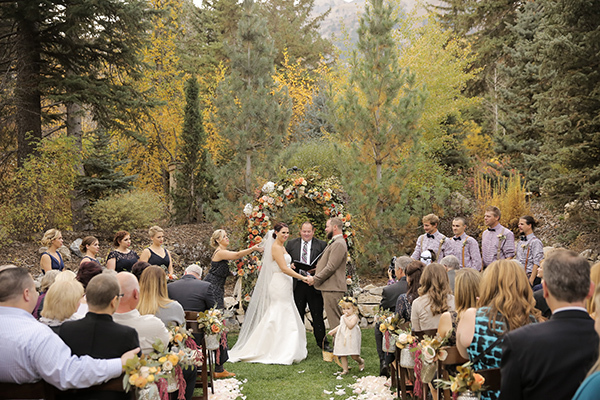 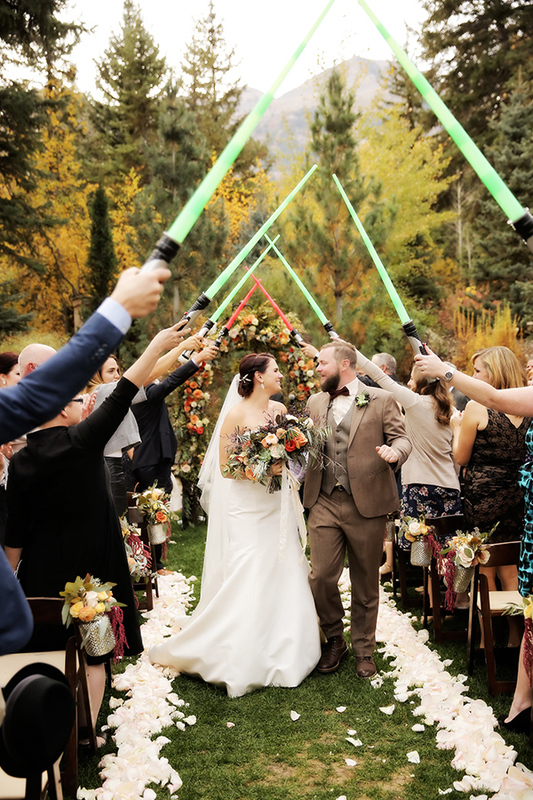 How do you pull off an elegant mountain chic wedding with touches of “Star Wars” flair? 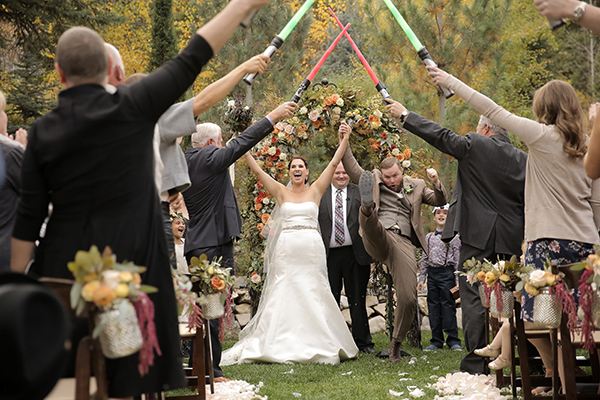 Like this, ladies and gentlemen — just like this. 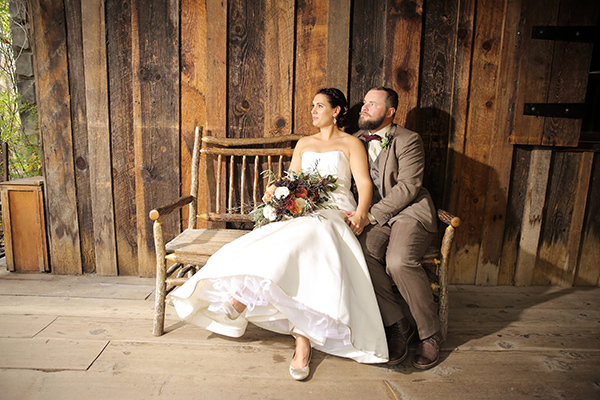 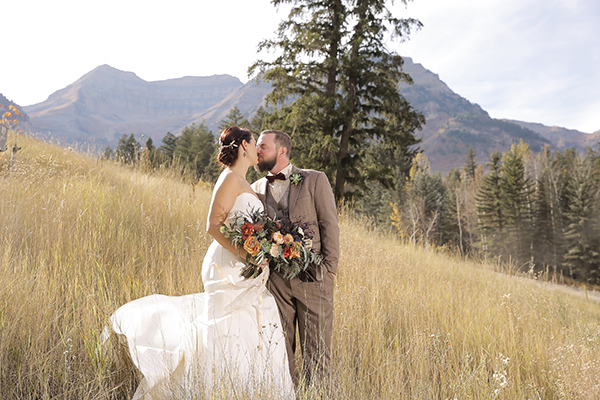 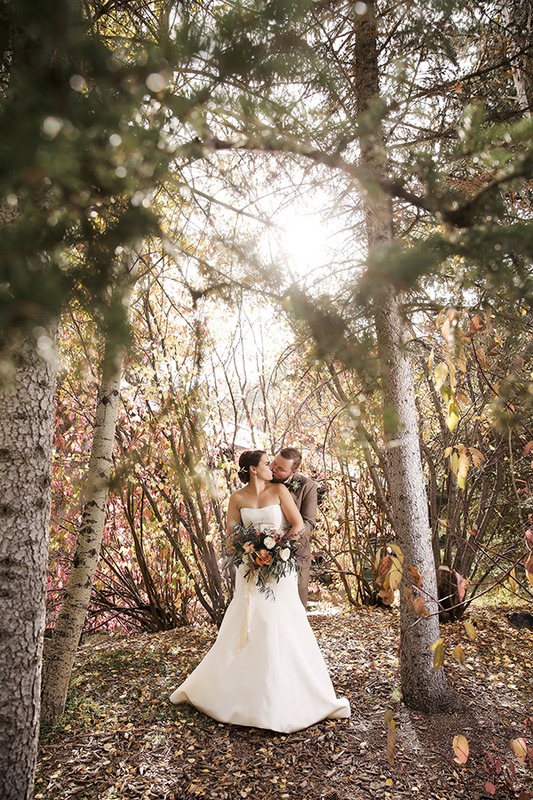 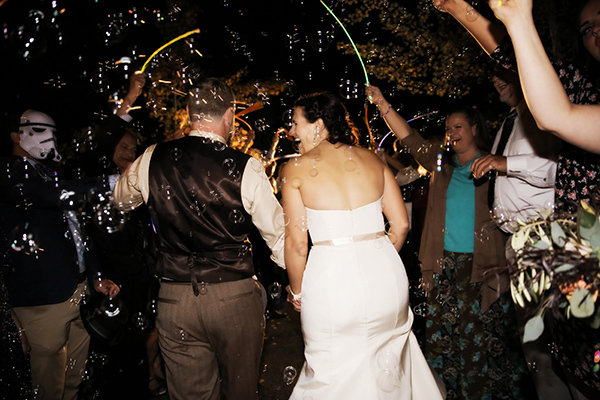 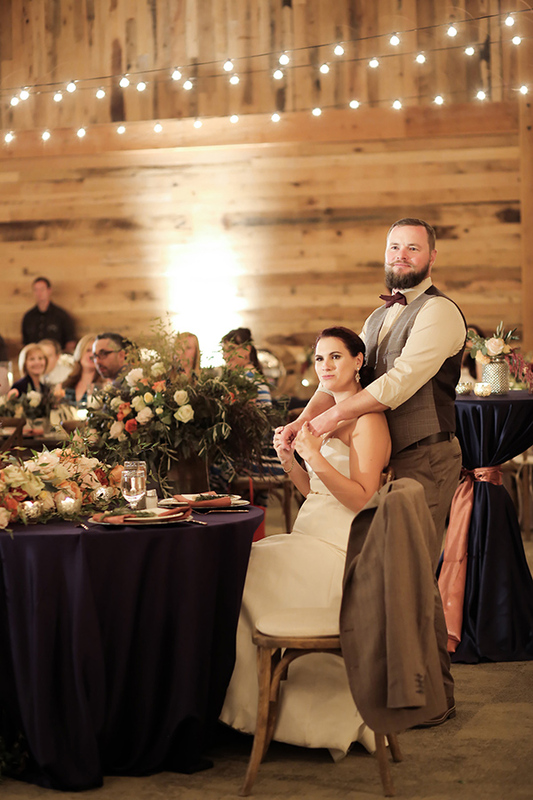 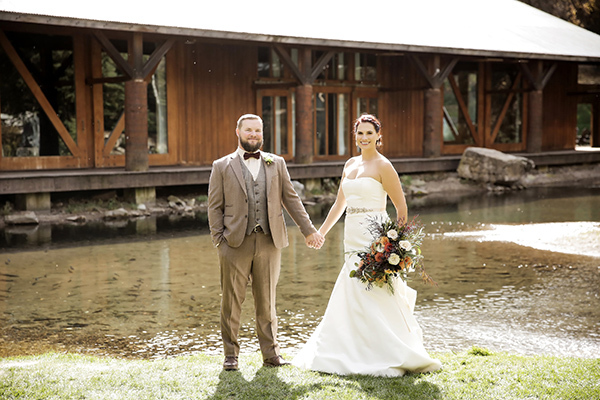 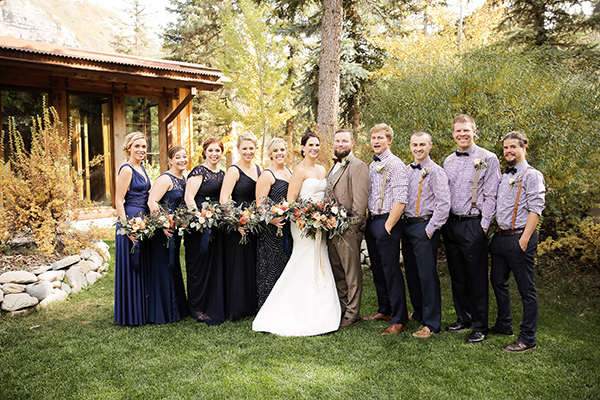 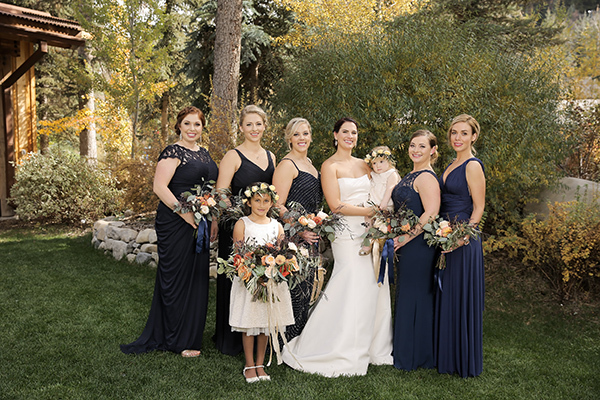 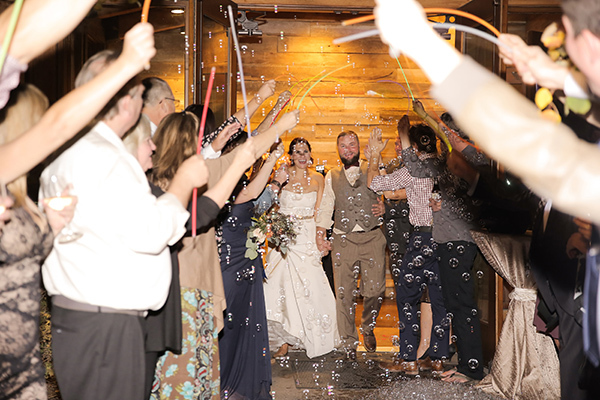 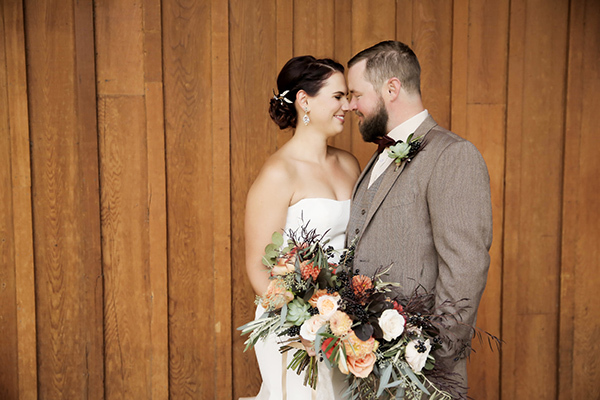 Emily Holtkamp and Bradon Maughn’s fall nuptials were over-the-top fun while still terrifically tasteful. 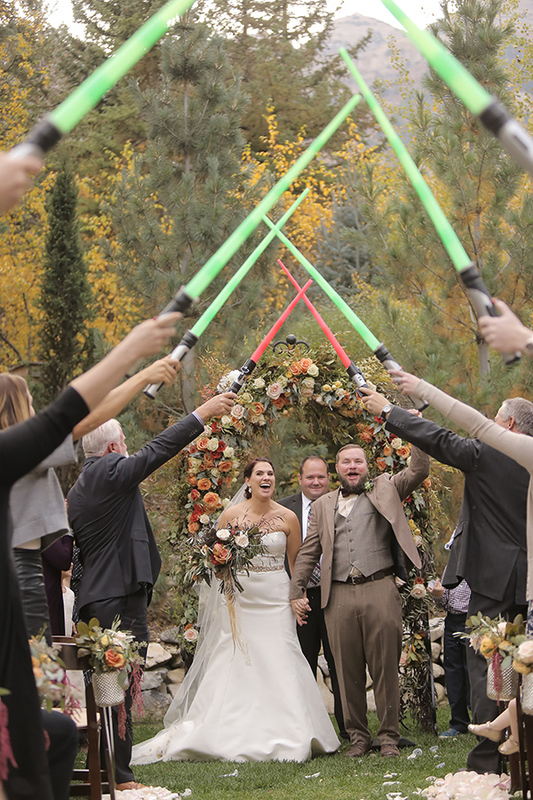 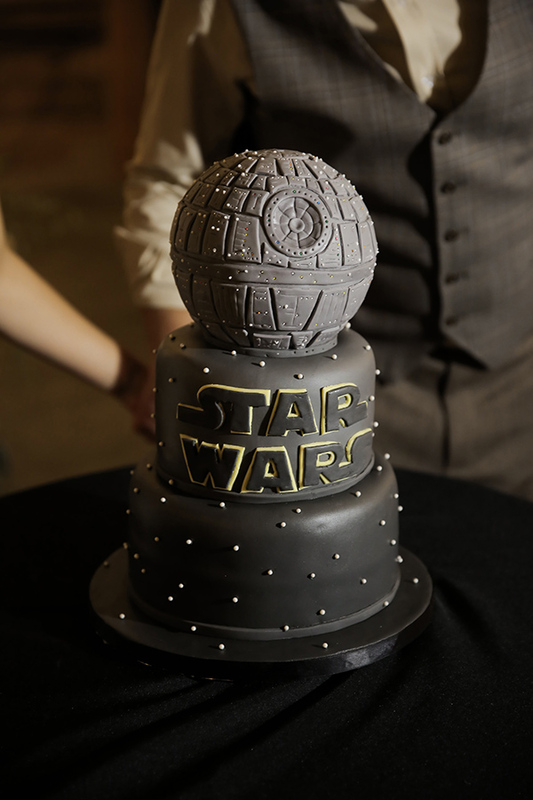 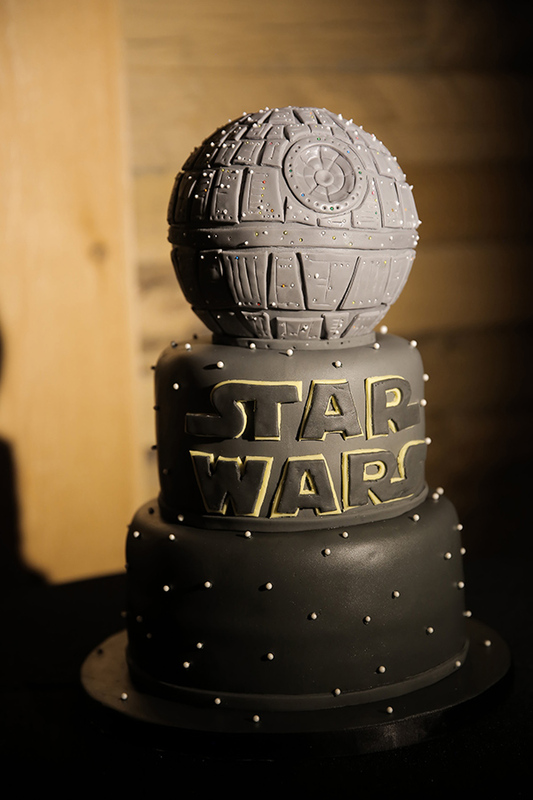 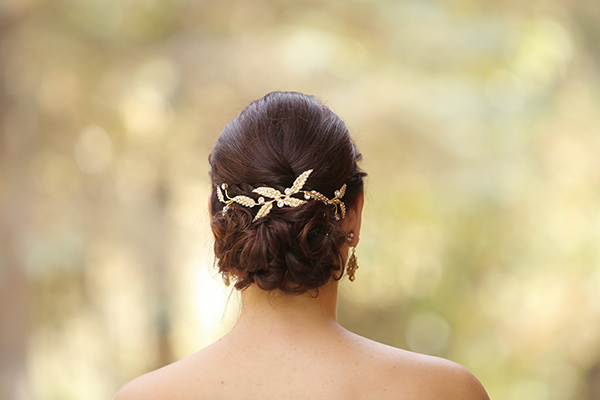 And the sweetest part was that the “Stars Wars” elements were a total surprise to Emily’s super-fan groom. 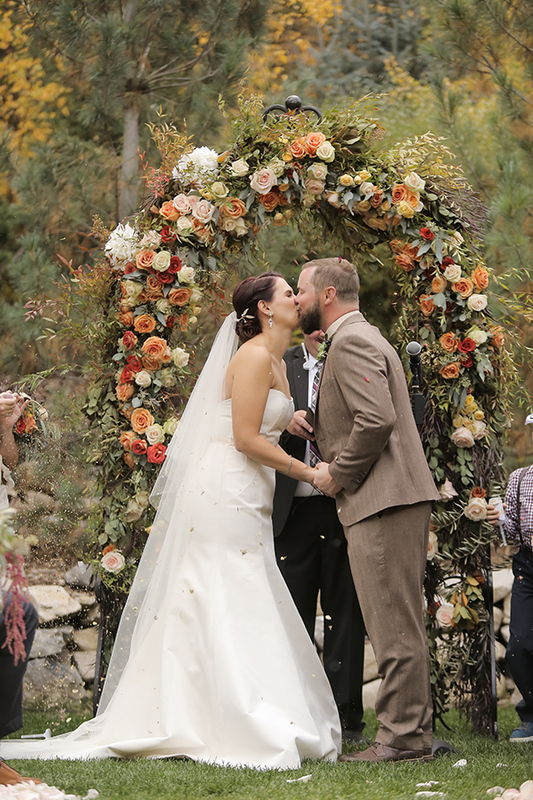 “Seeing him get so excited was one of the best moments of the day,” Emily says. 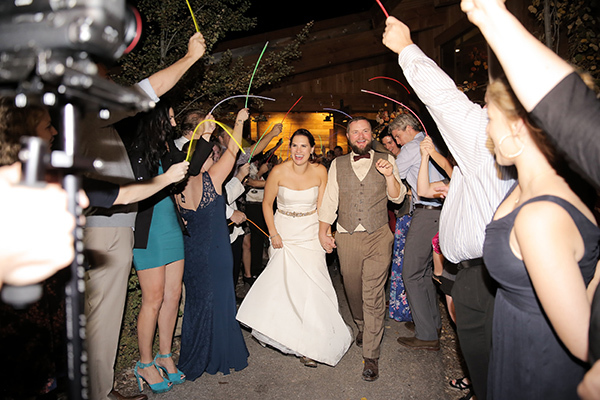 The energetic couple met on a blind date. 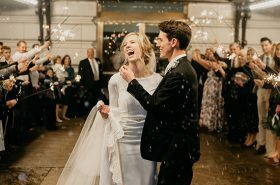 She found him hilarious and loved his eyes, while he thought she was gorgeous and had “great energy.” The proposal, on the other hand, was a tad more rocky. 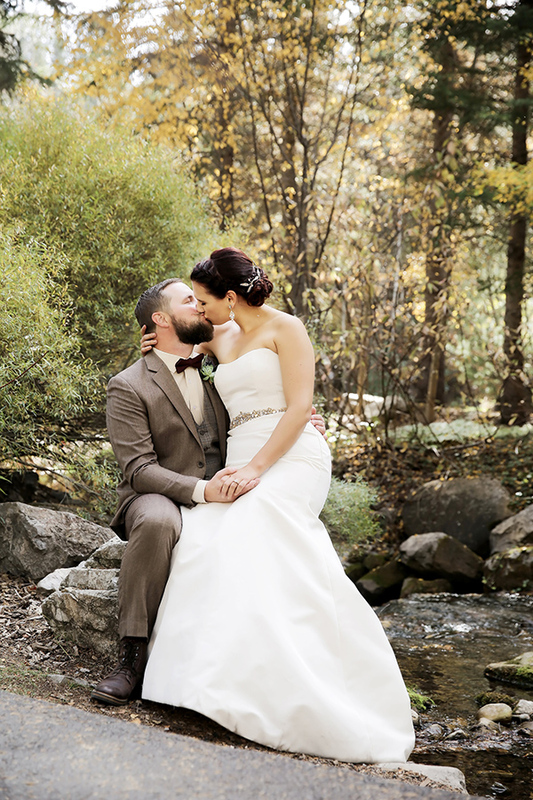 On a vacation at Zion National Park, Bradon had plans to propose with a bike ride and a romantic picnic. 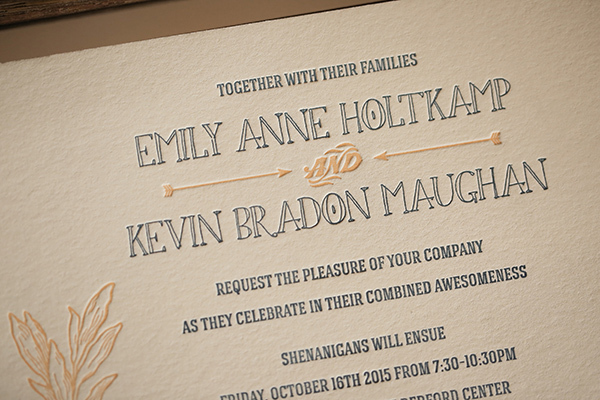 But when Emily turned down the outing, he had to make up new plans on the spot. 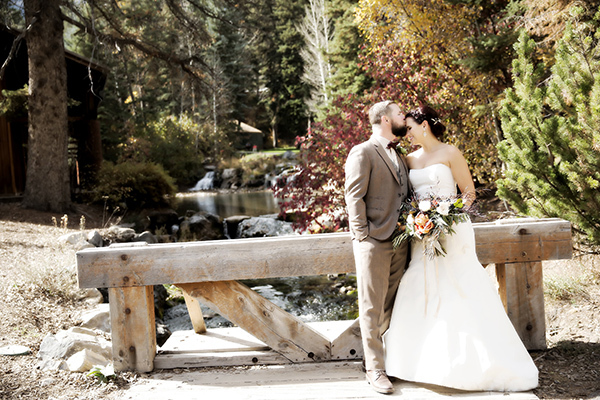 They instead went on a hike to the Emerald Pools and Bradon led her to a ledge for pictures. 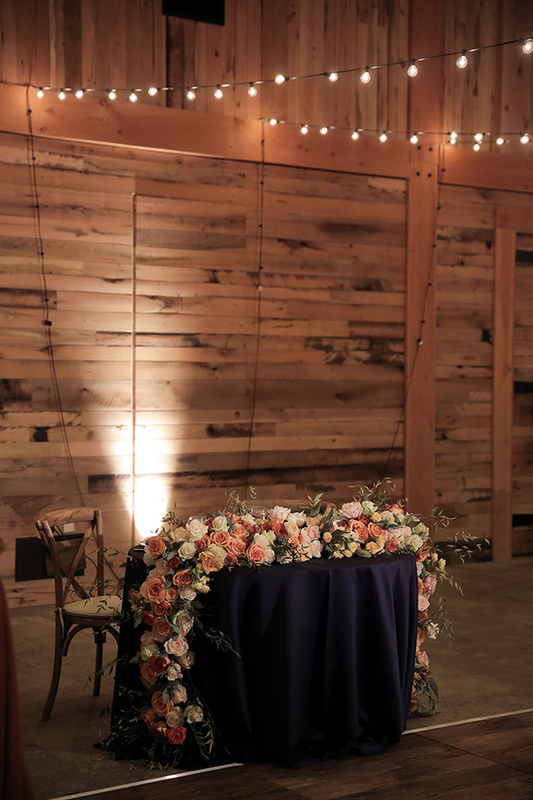 “I tried to be funny and pretended to push him,” Emily says. 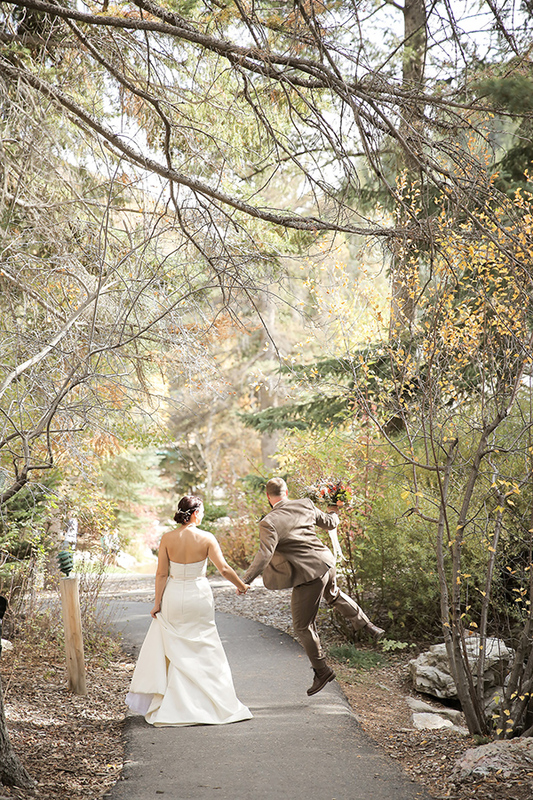 “Then he really did start to fall! 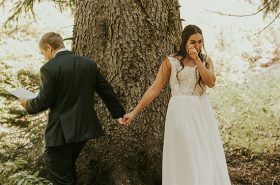 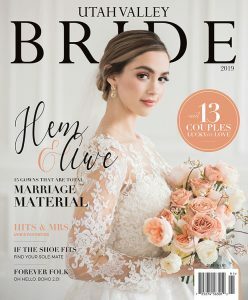 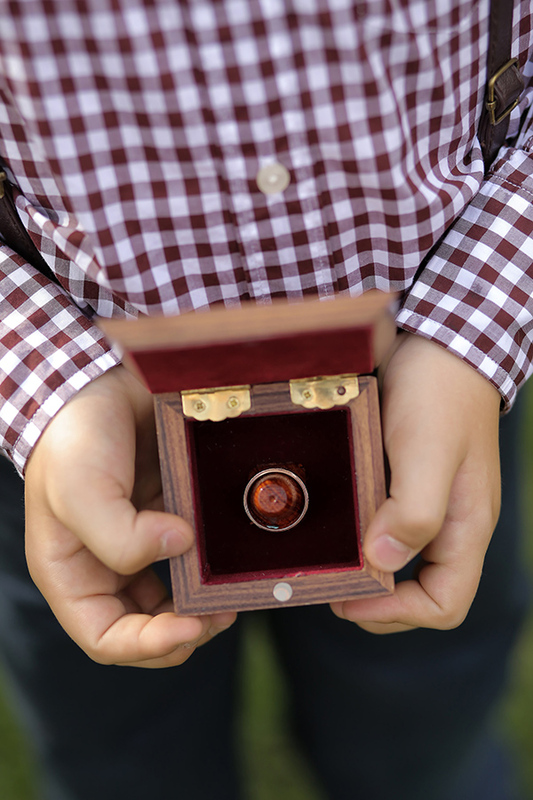 It scared the crap out of me!” Despite the scare, Bradon slipped down to one knee to pop the question — and had the monumental moment captured on film. 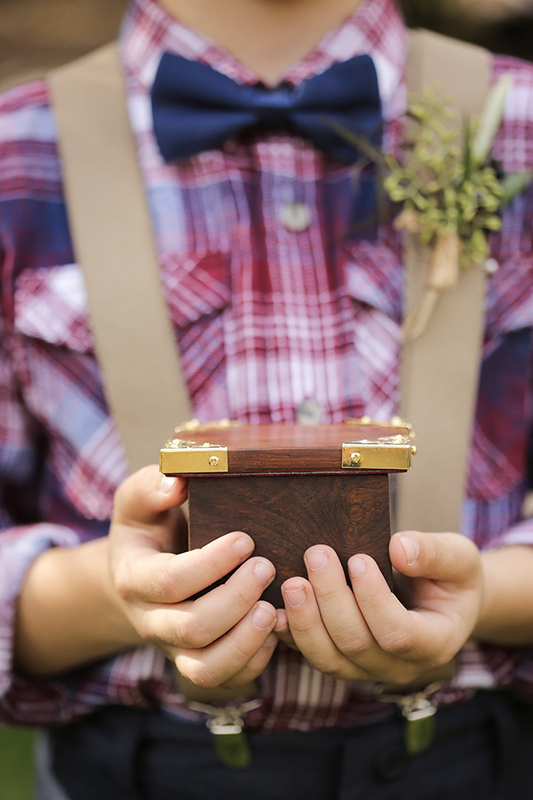 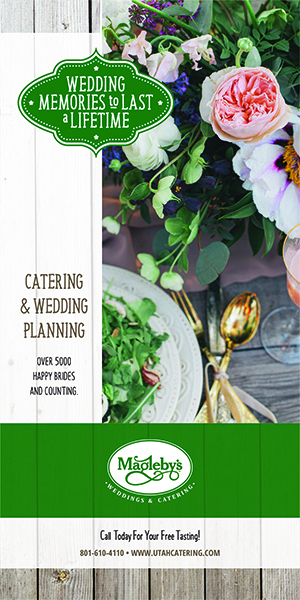 When it came time for wedding planning, the pressure was on. 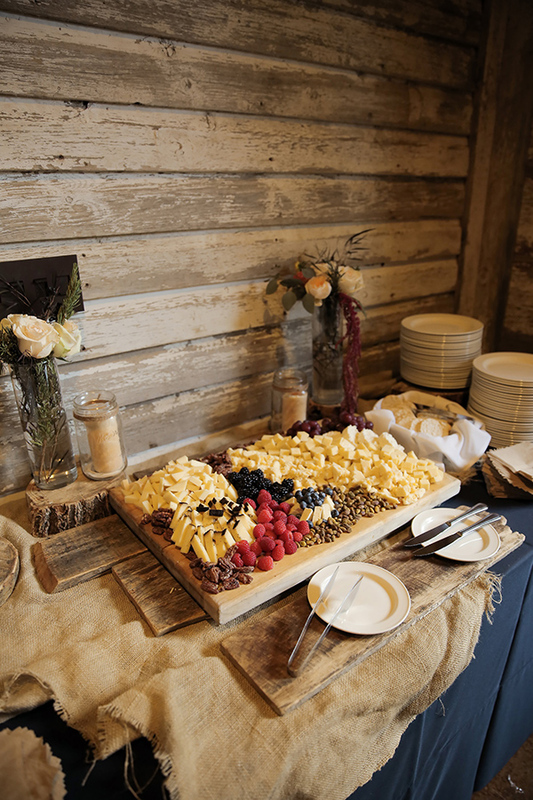 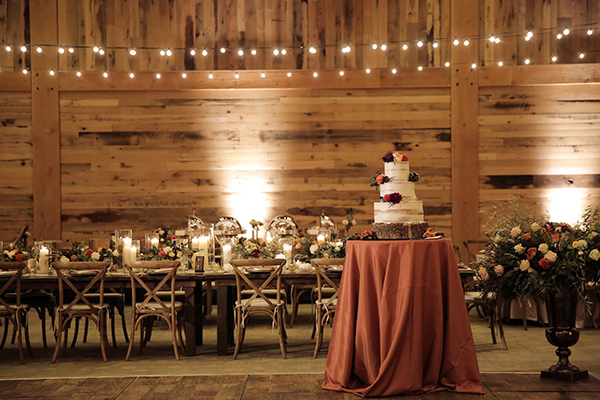 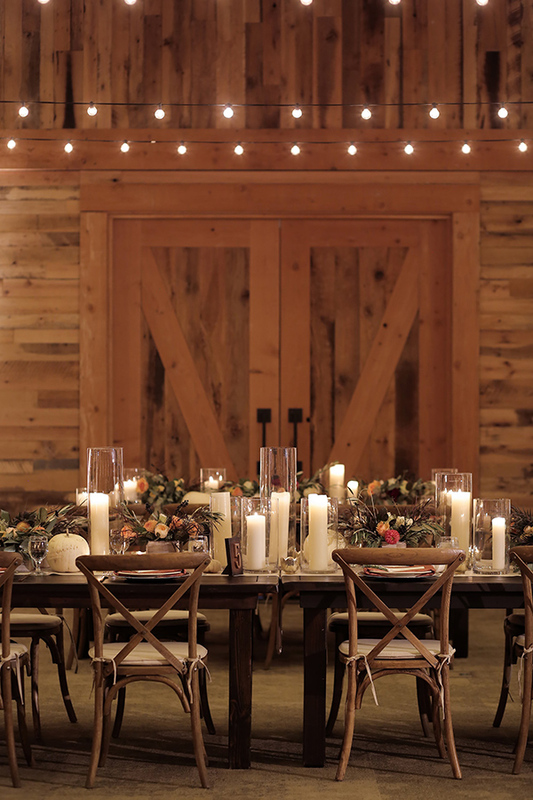 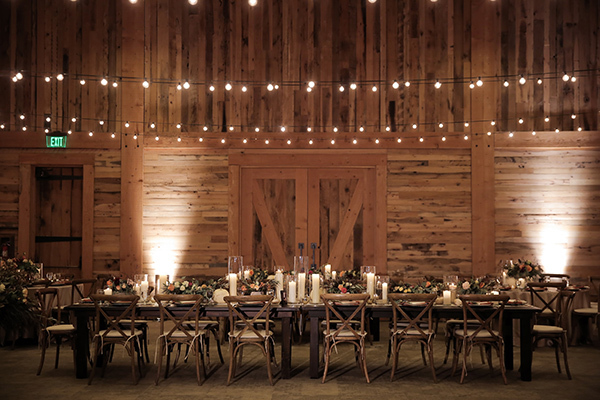 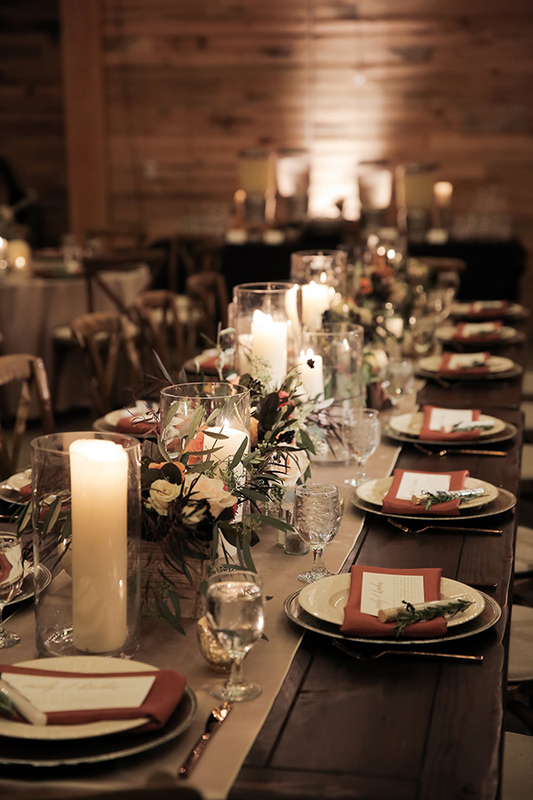 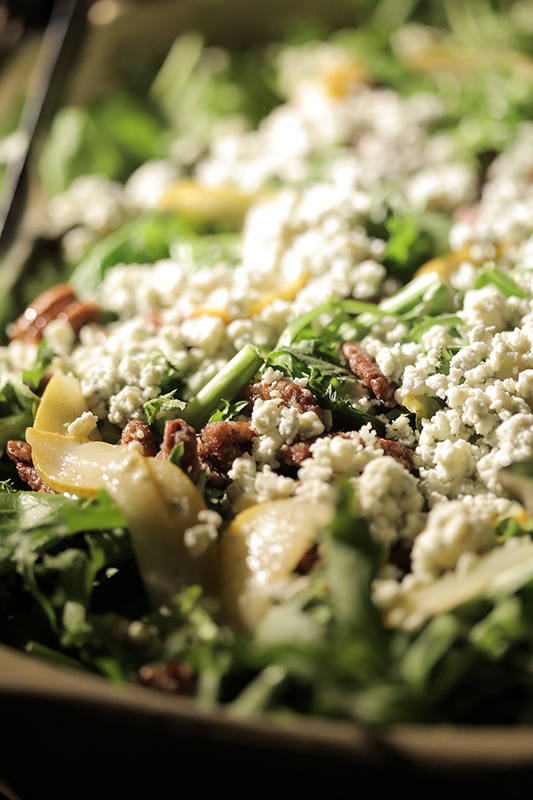 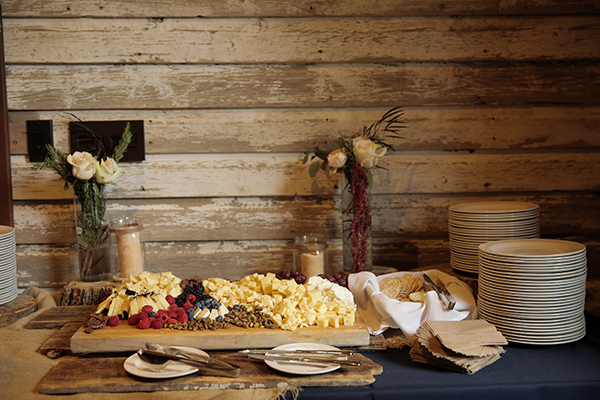 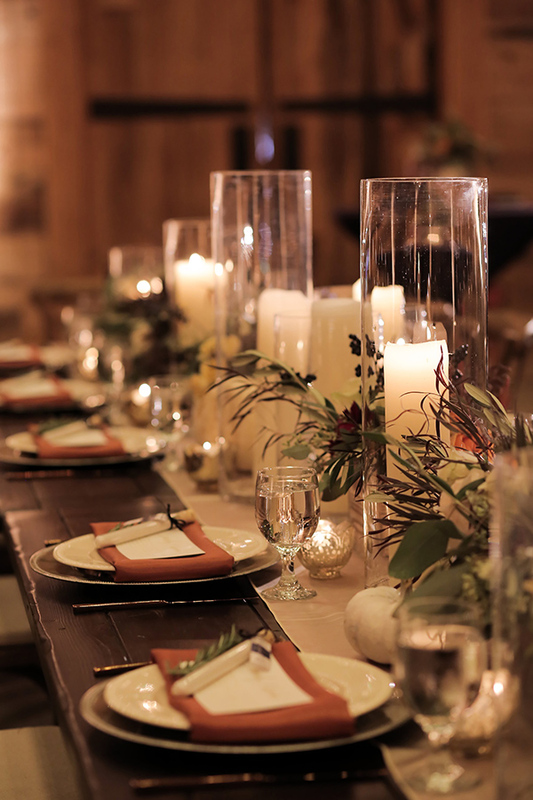 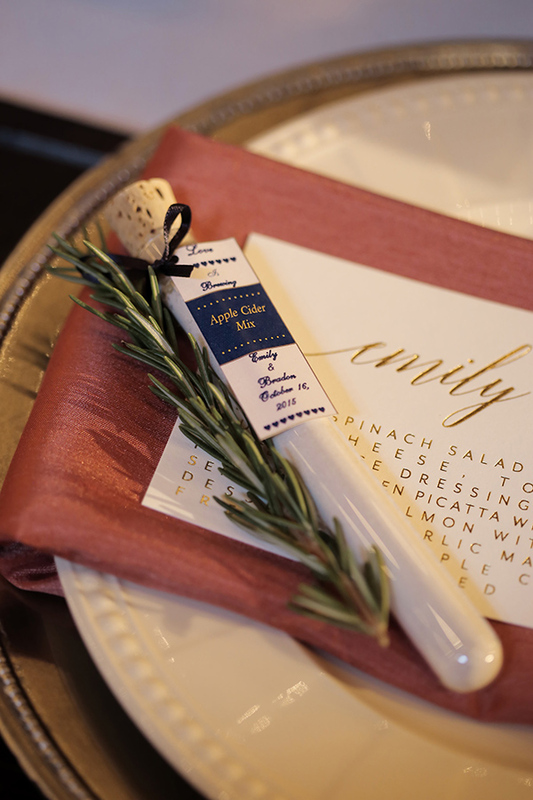 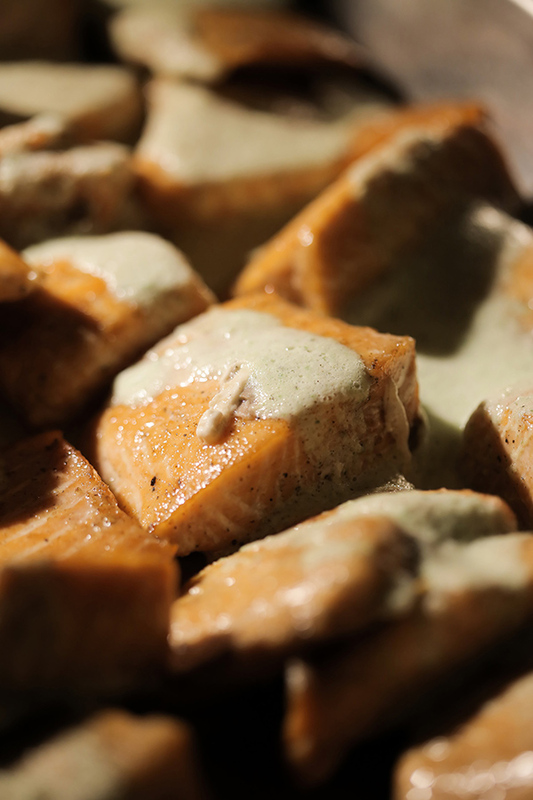 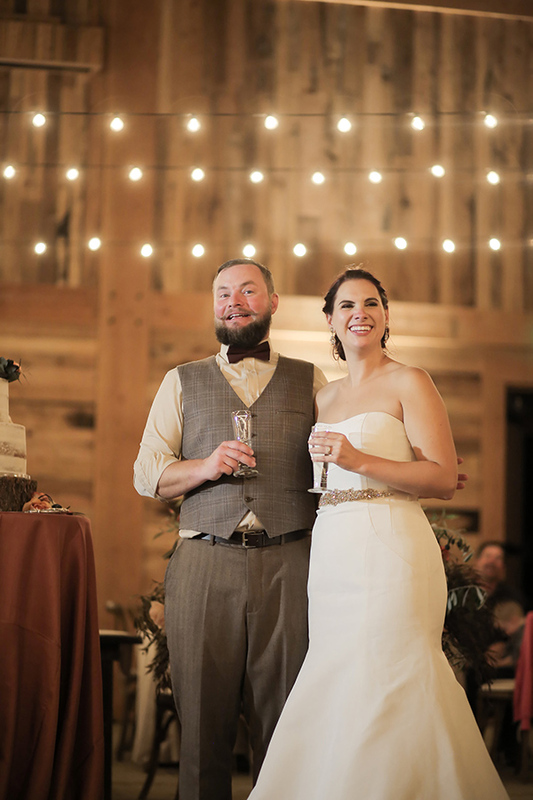 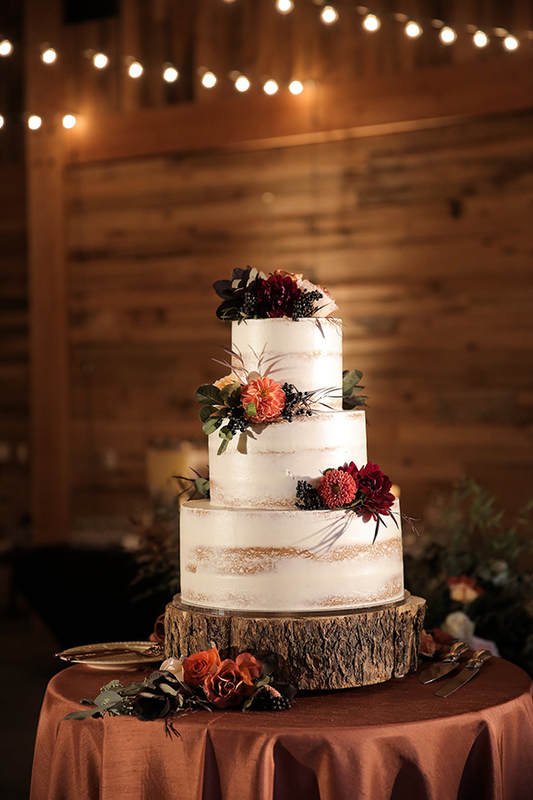 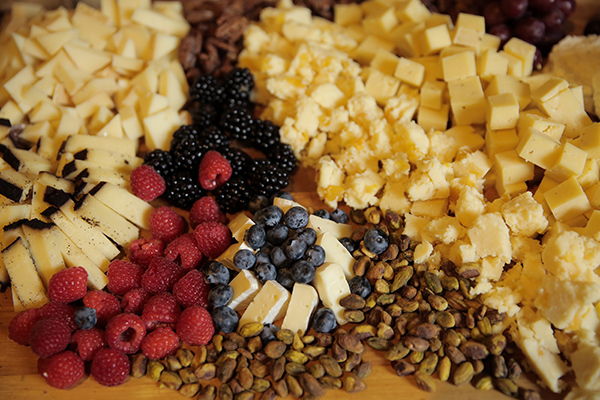 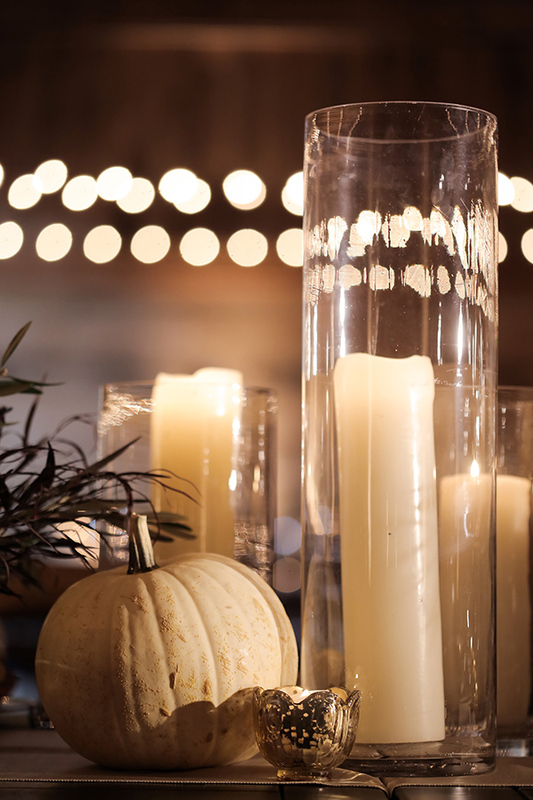 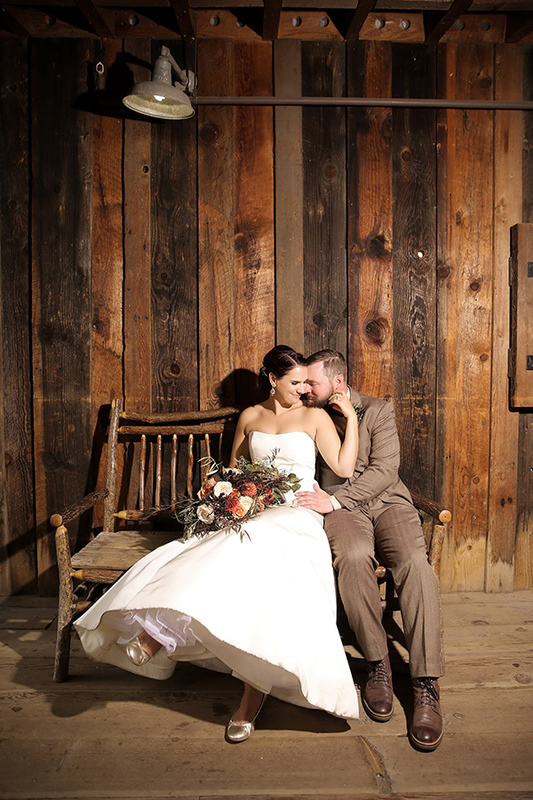 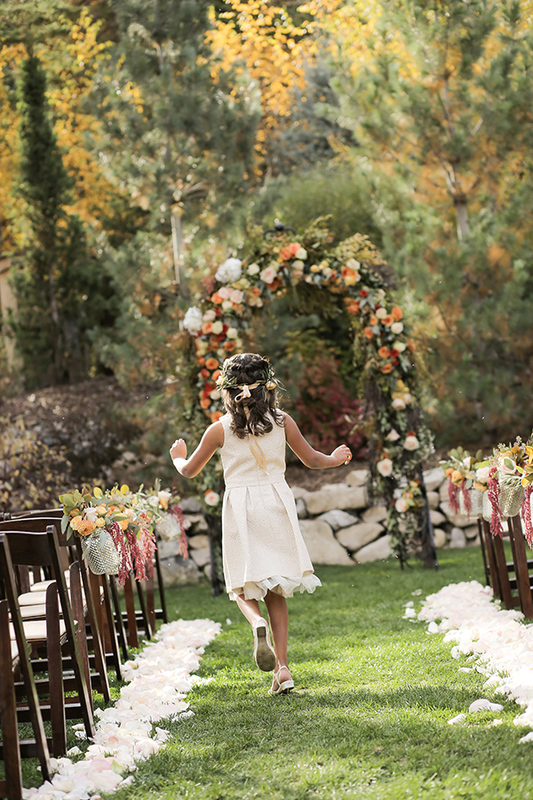 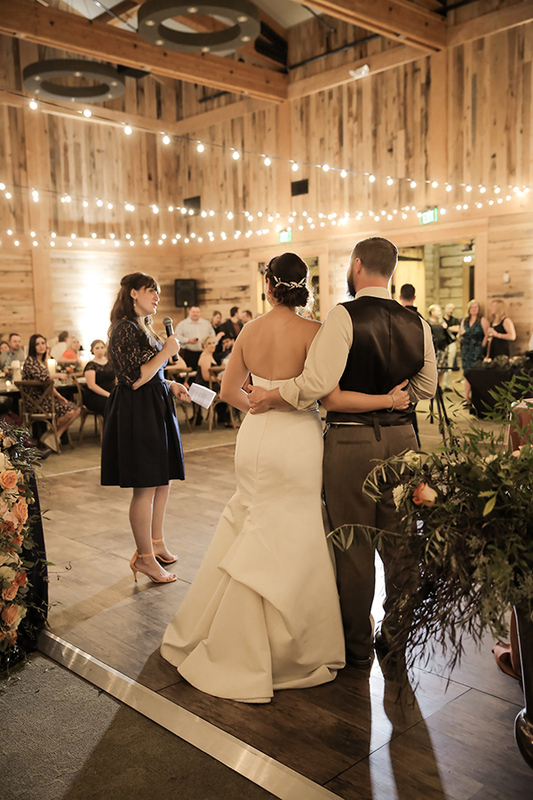 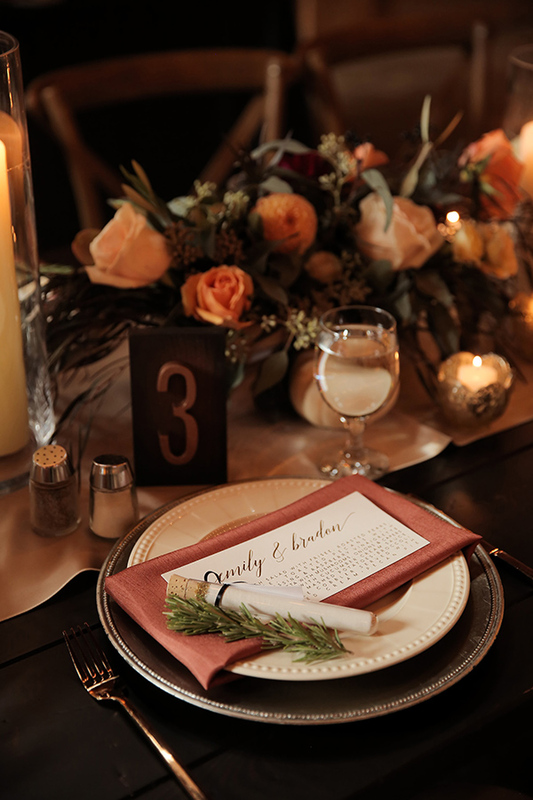 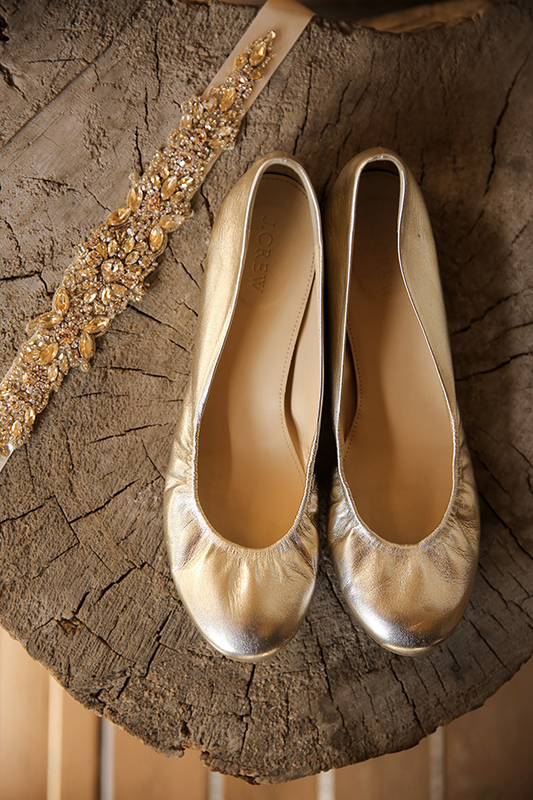 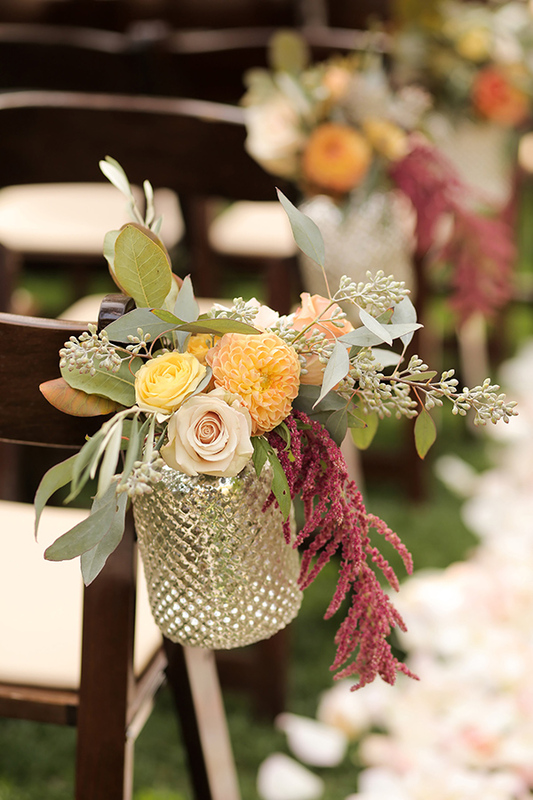 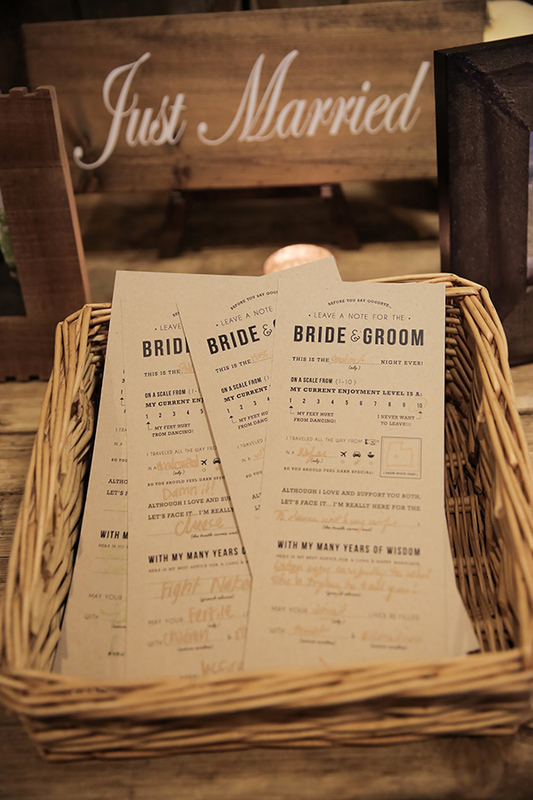 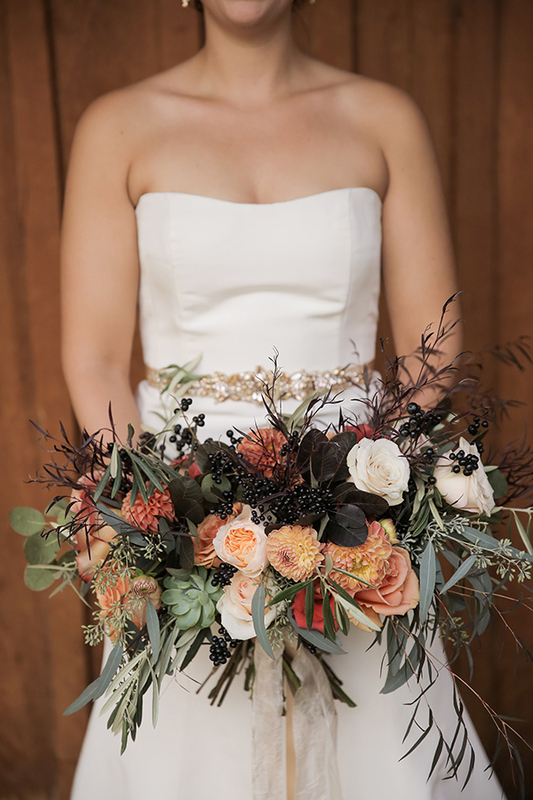 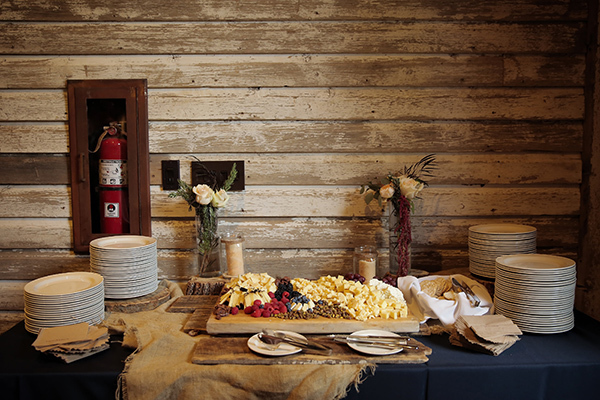 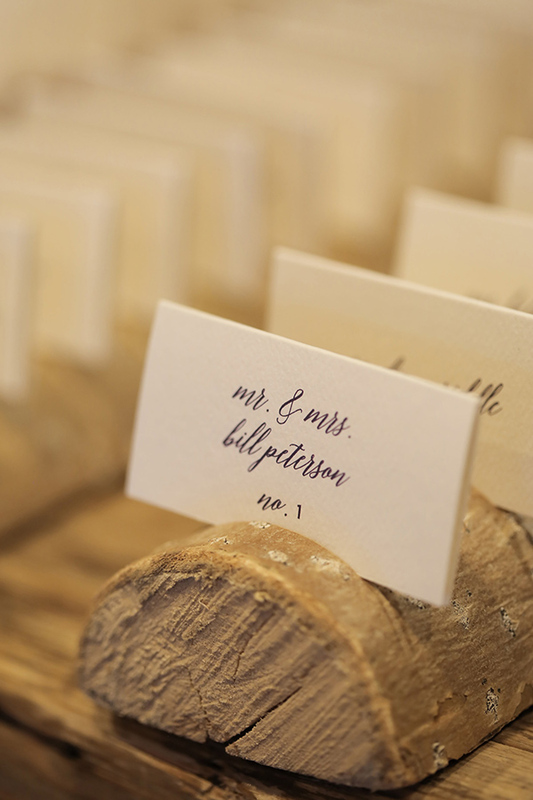 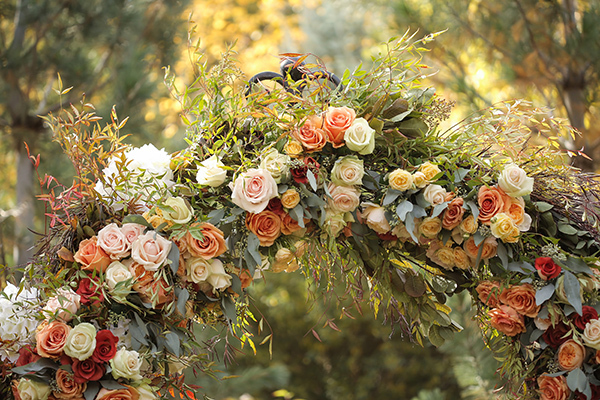 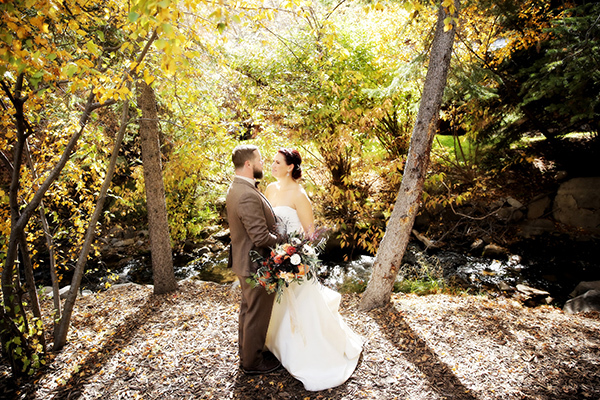 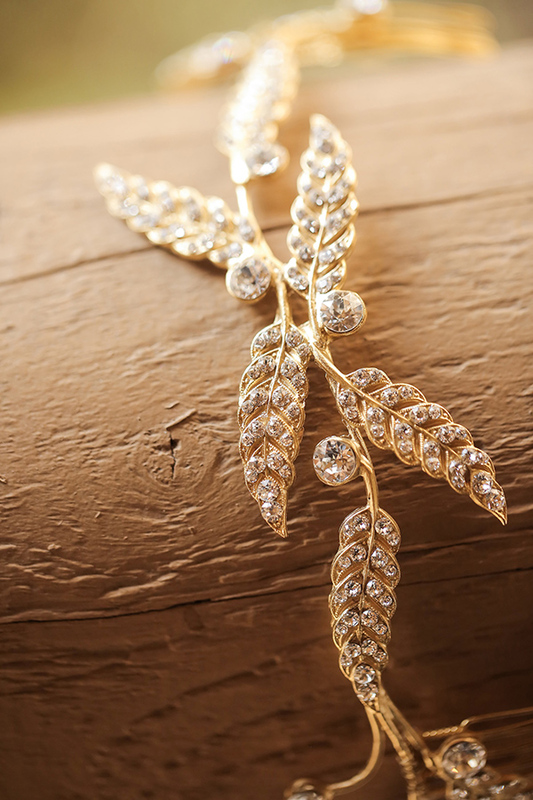 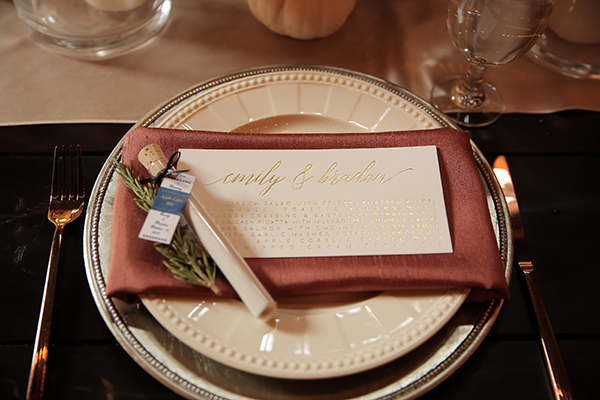 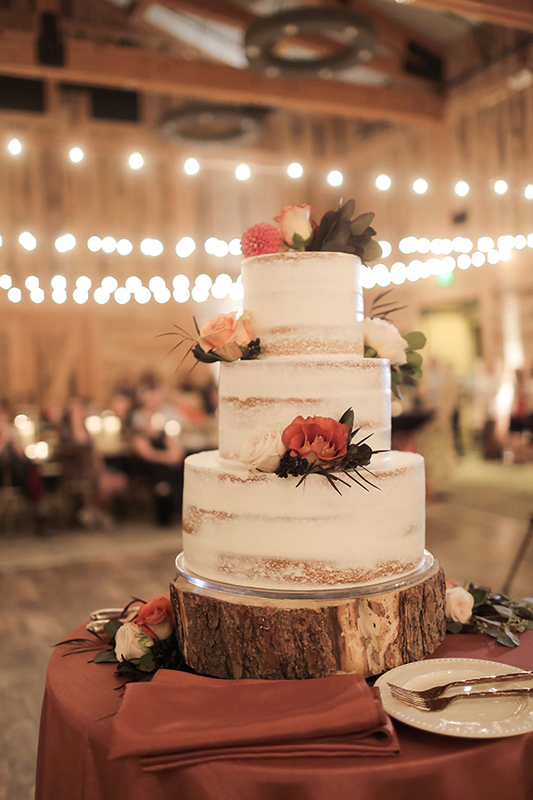 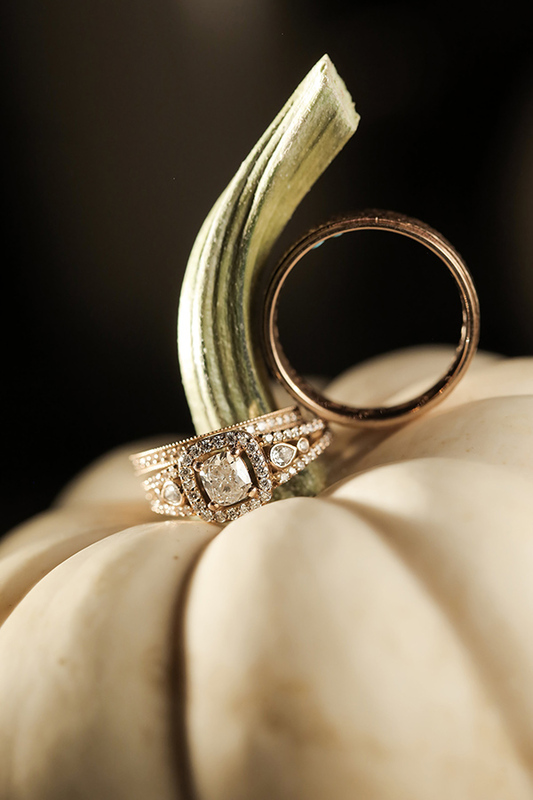 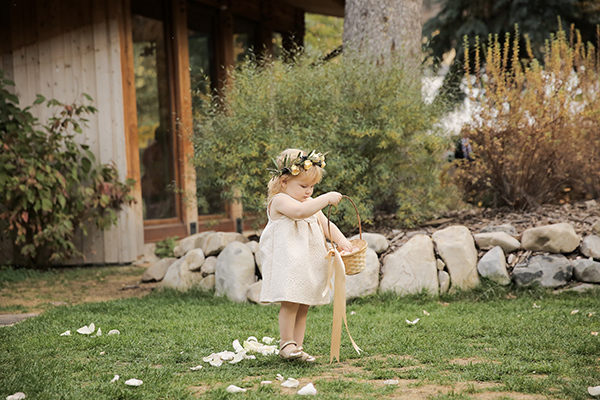 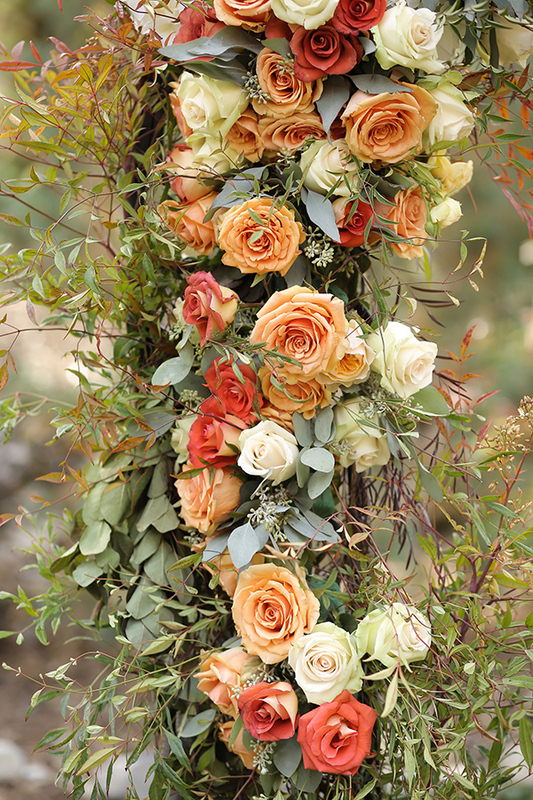 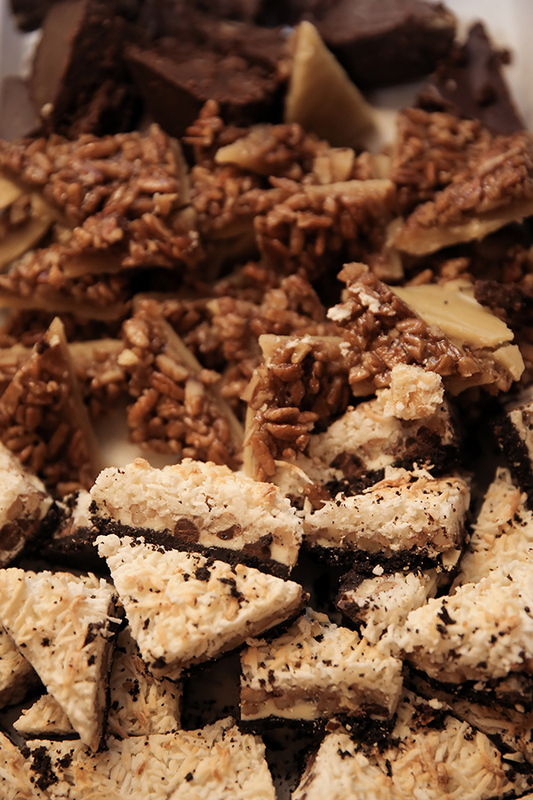 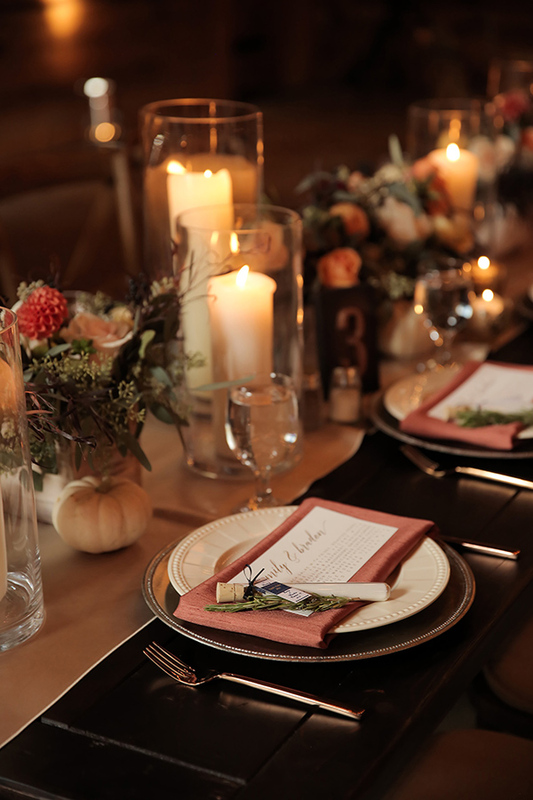 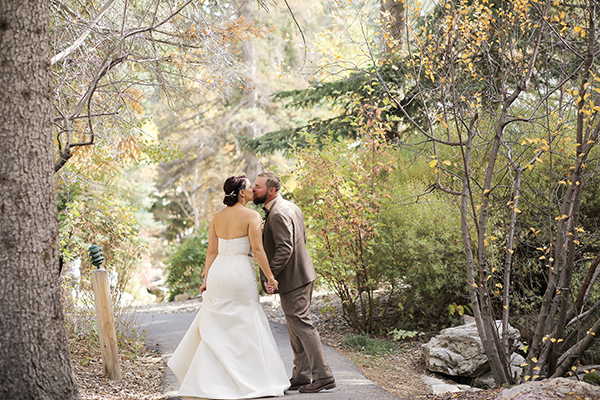 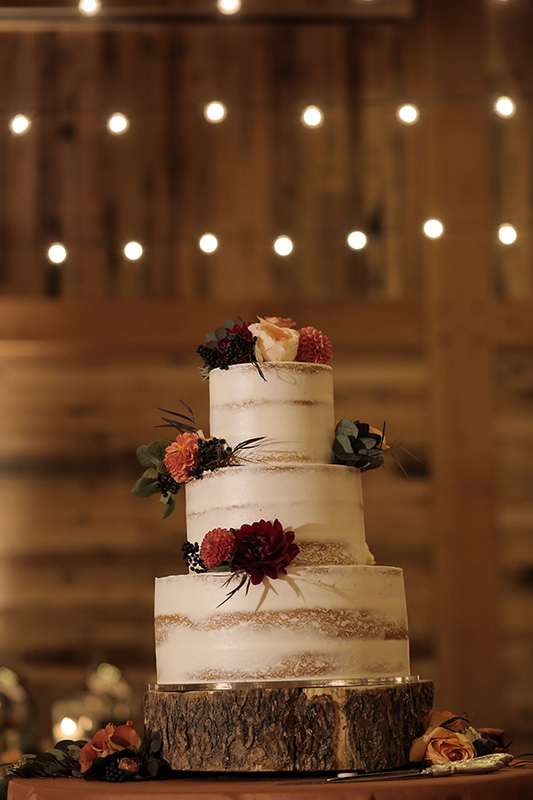 Emily hired Michelle Leo Events to find the perfect balance between quaint and luxurious. 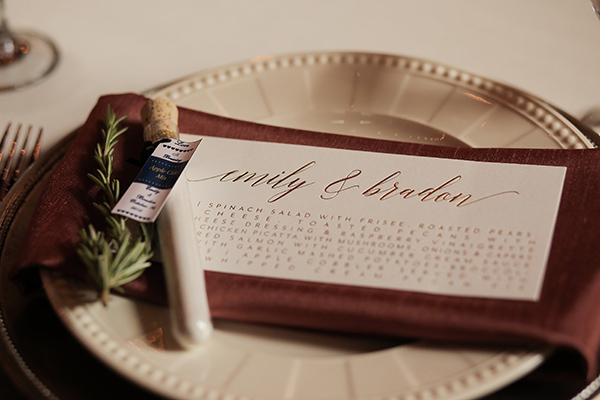 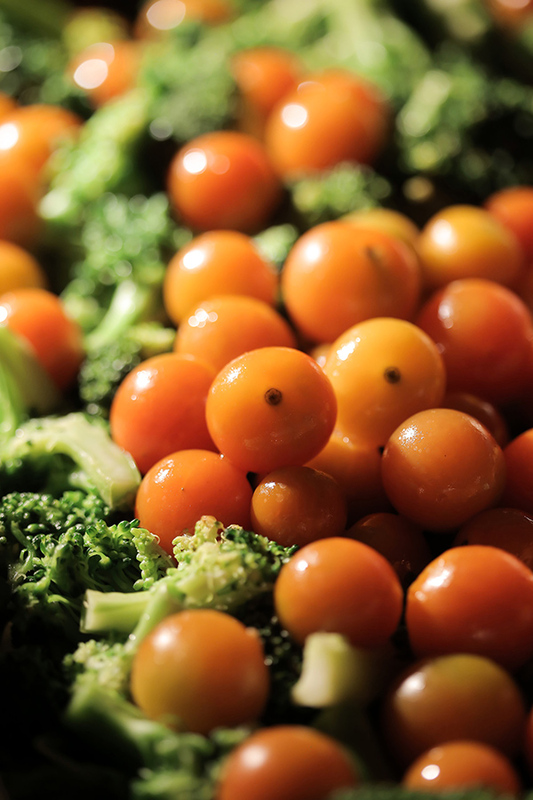 “I’m the only girl in the family, so it had to be perfect,” Emily says. 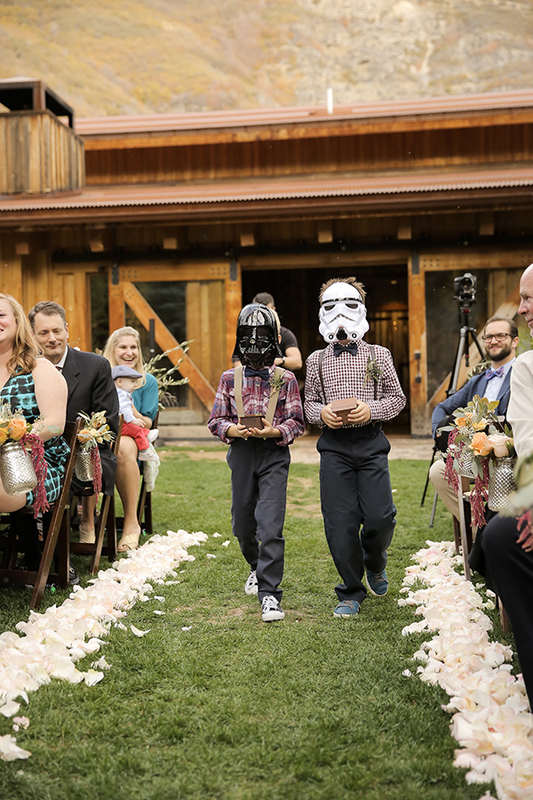 Perfect wedding, it was. 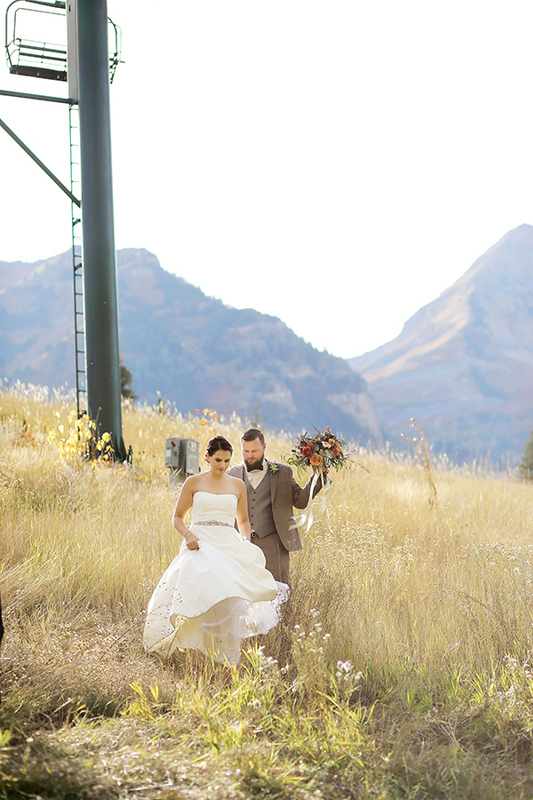 A WALK TO REMEMBER Emily’s favorite thing about her wedding wasn’t a thing at all — it was a moment. 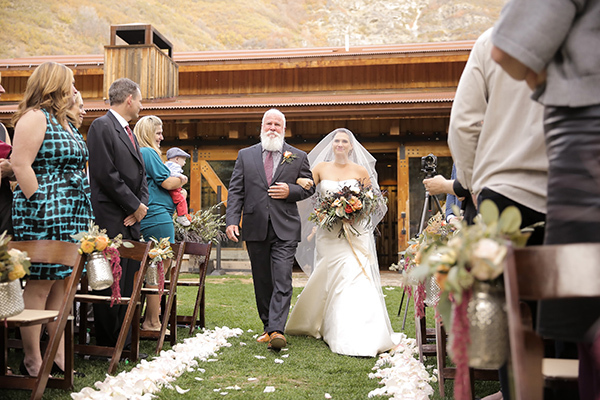 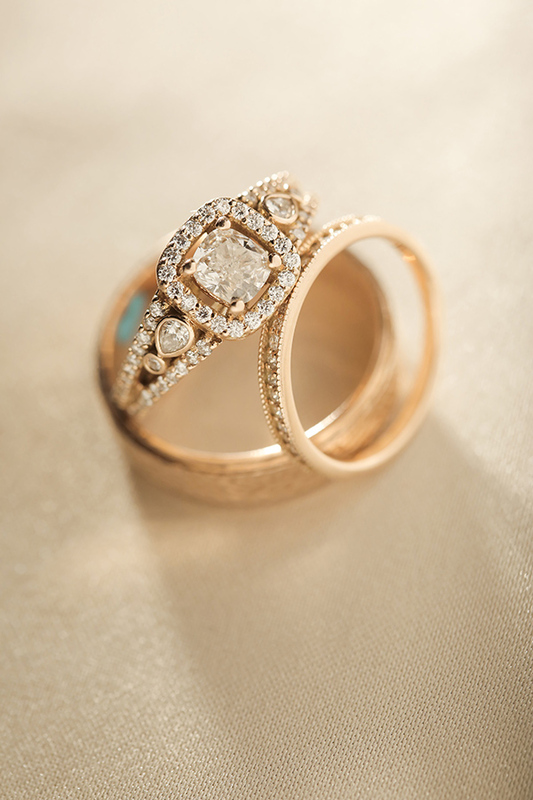 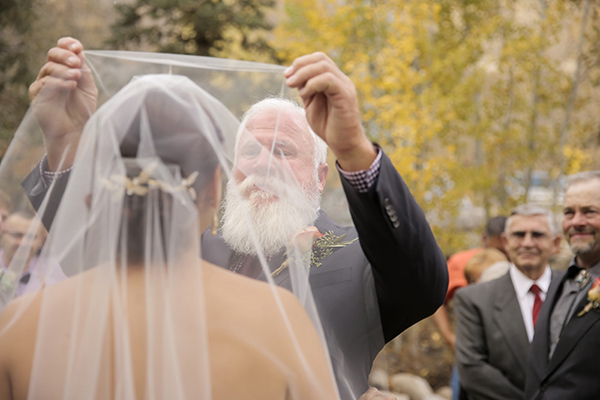 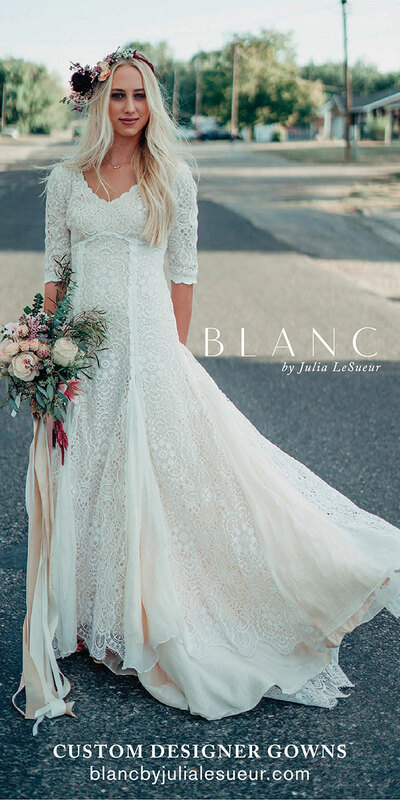 “It was walking down the aisle with my father to marry the man of my dreams,” she says.